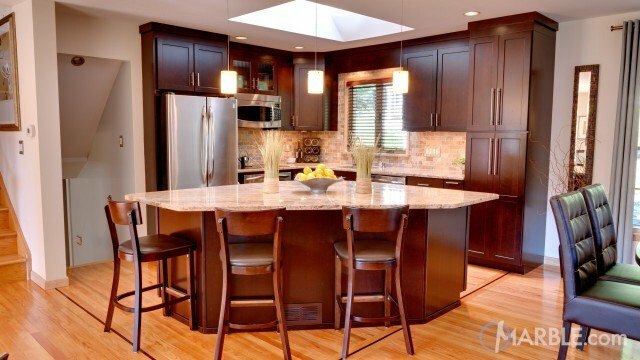 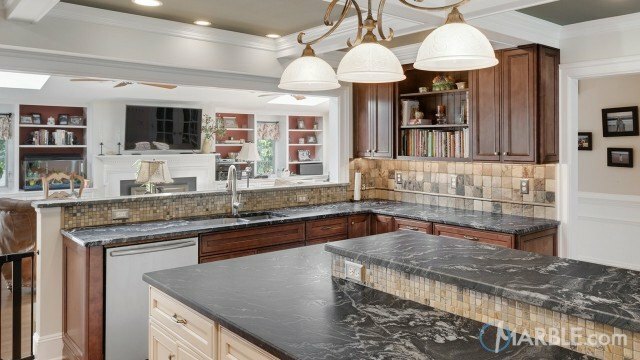 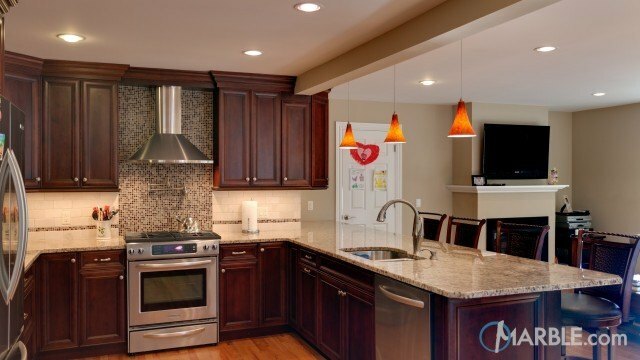 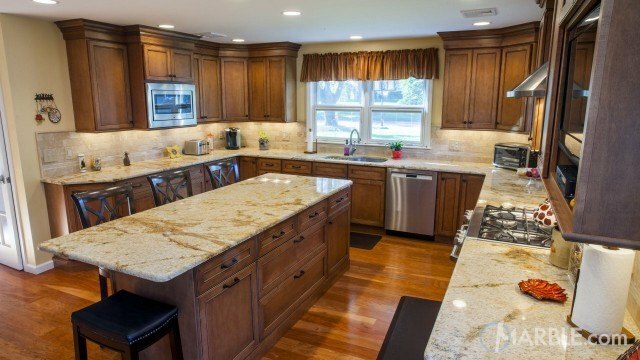 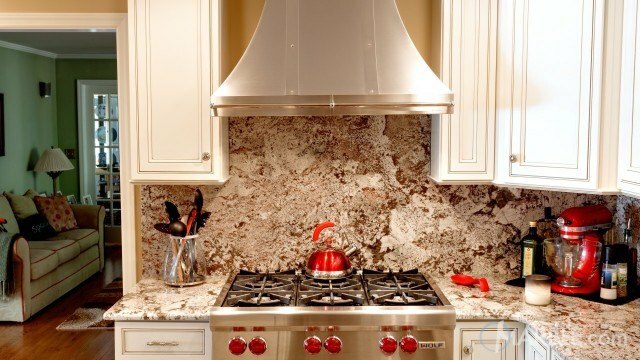 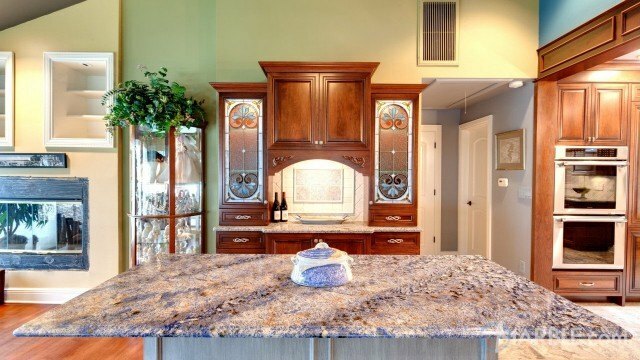 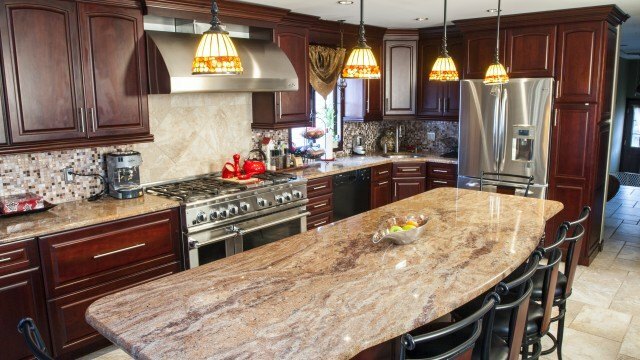 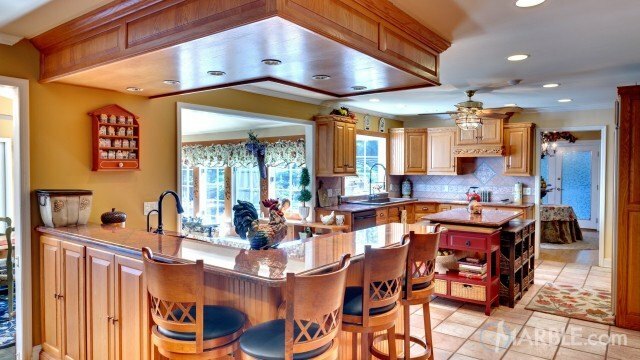 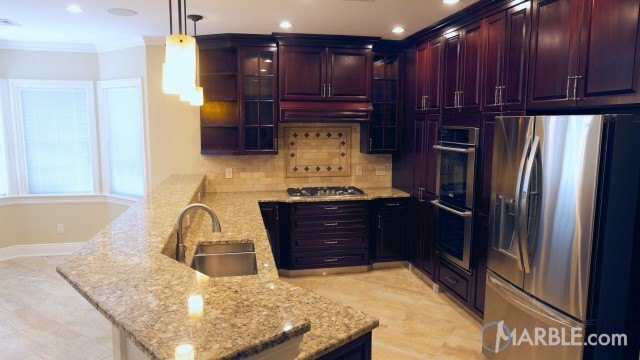 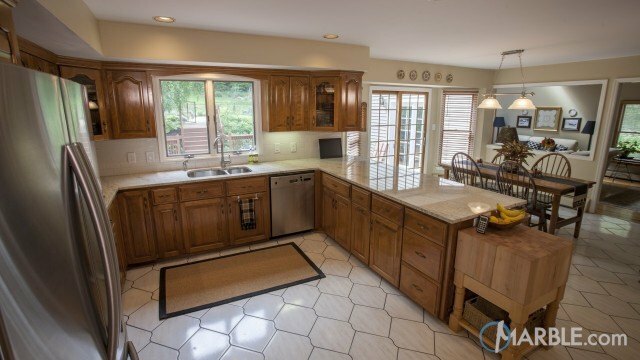 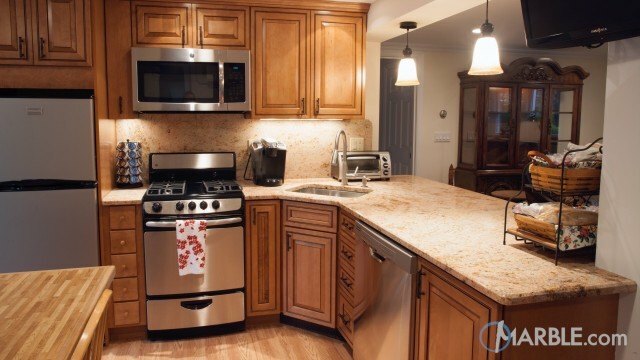 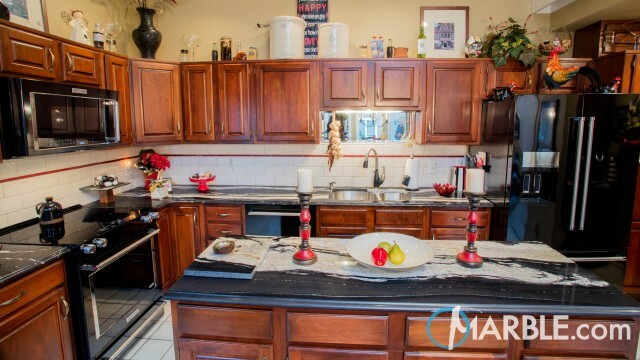 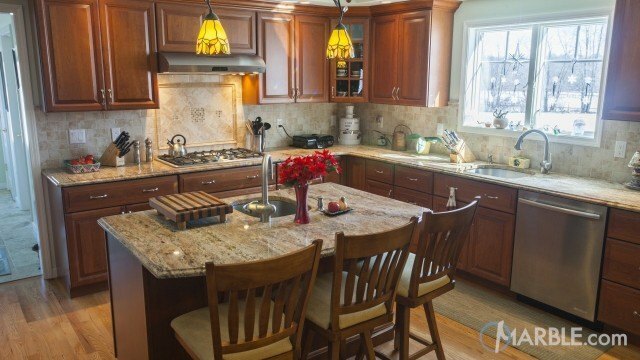 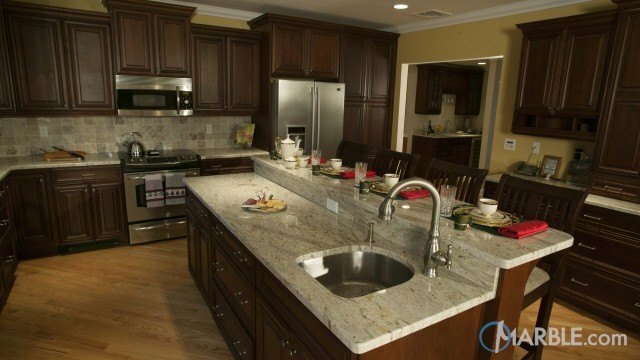 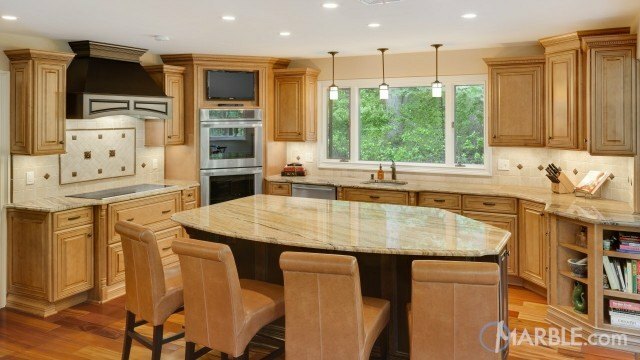 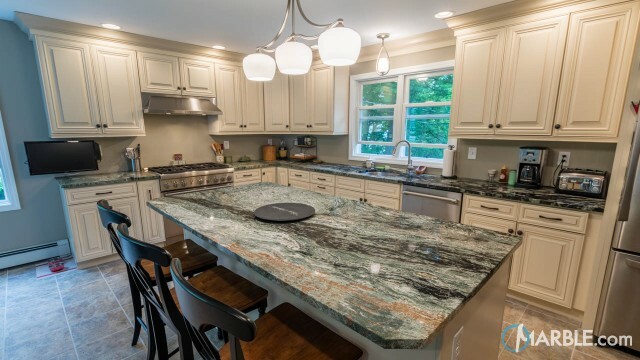 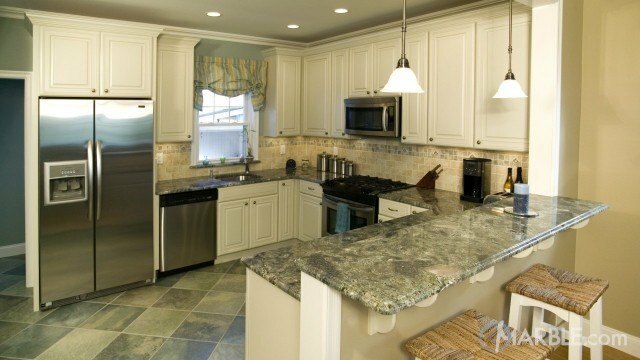 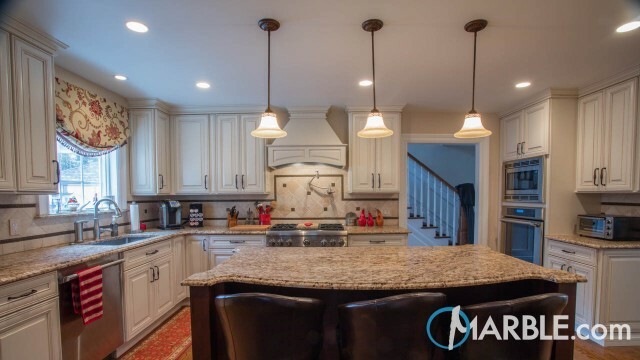 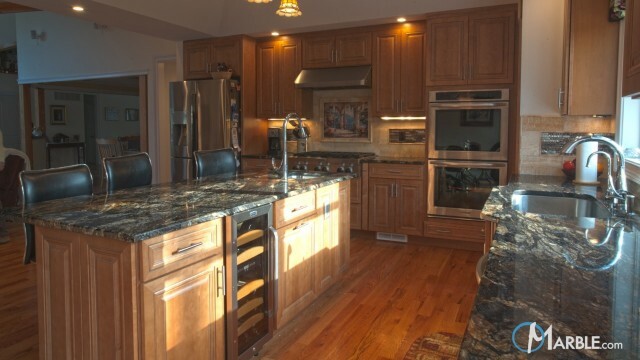 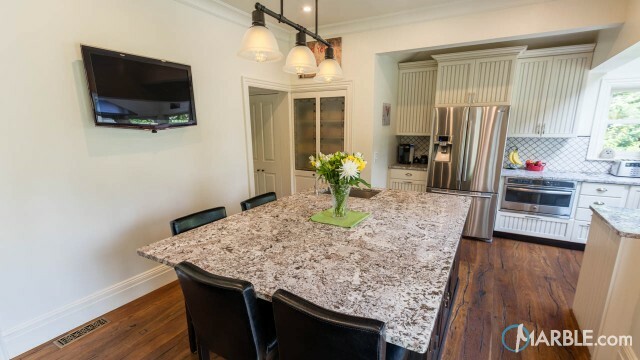 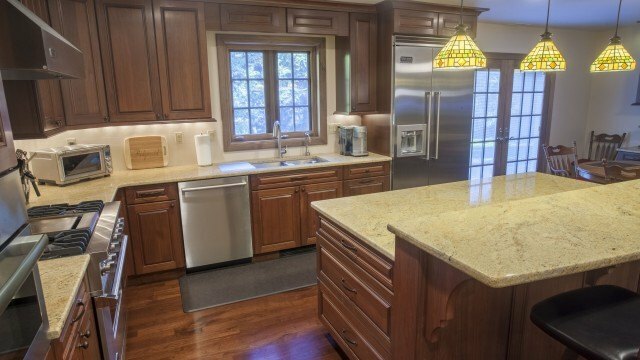 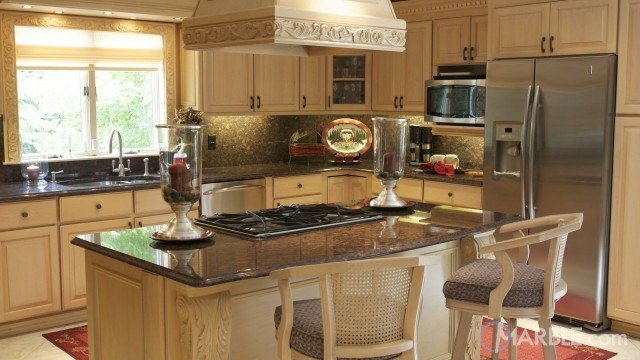 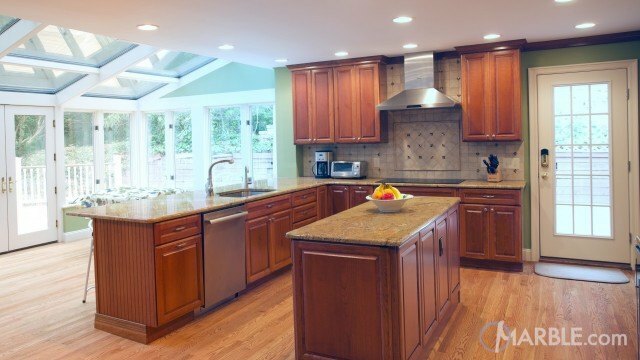 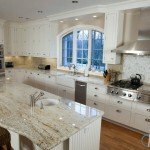 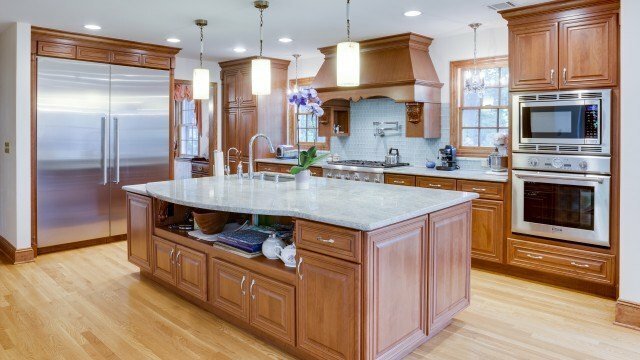 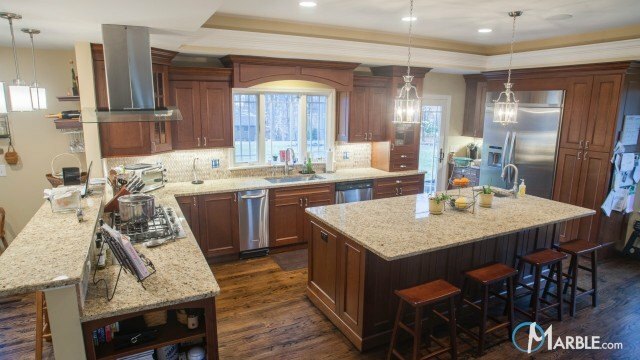 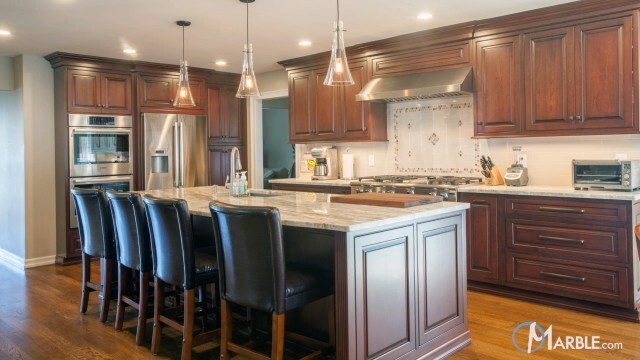 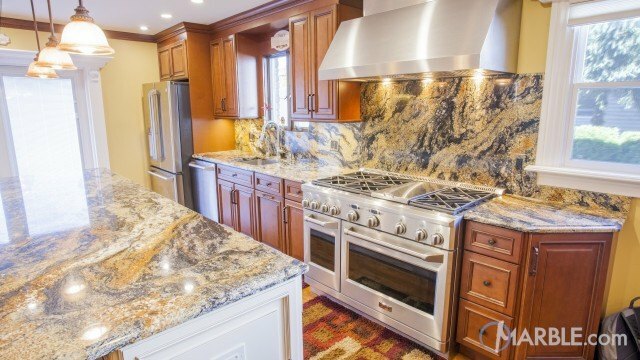 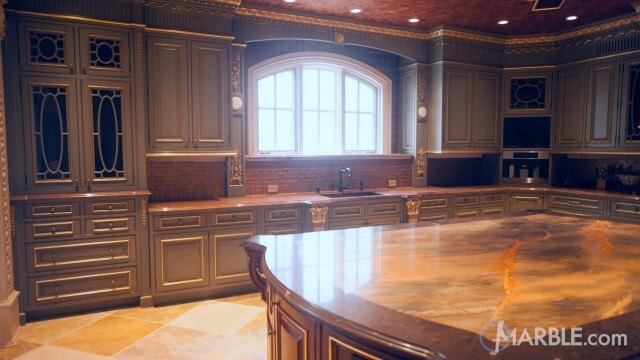 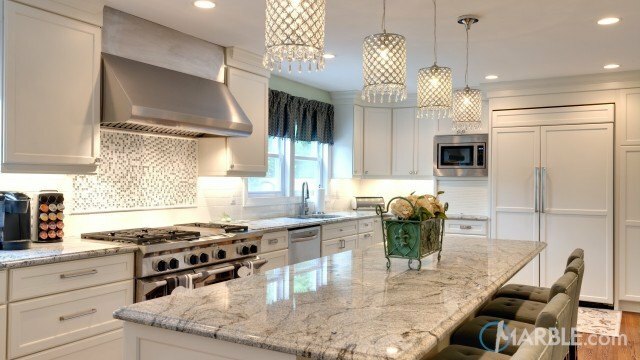 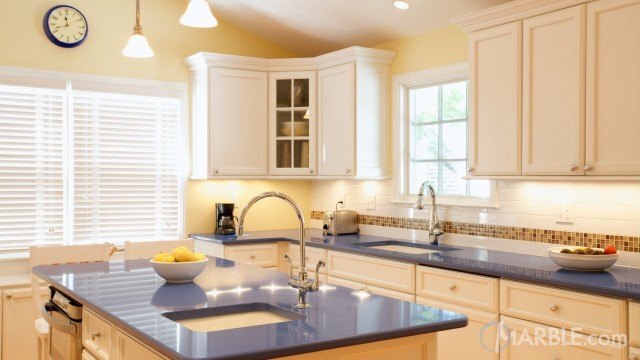 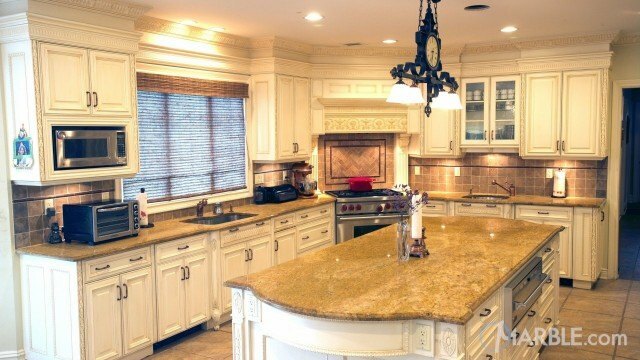 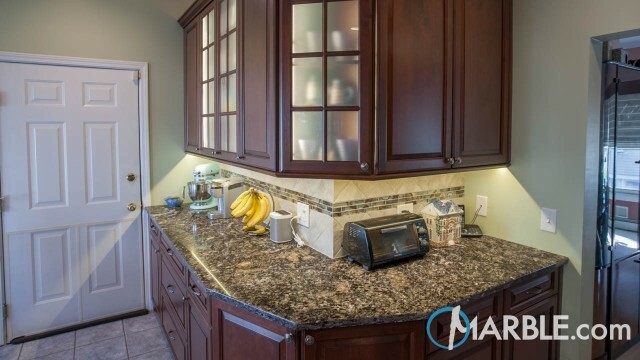 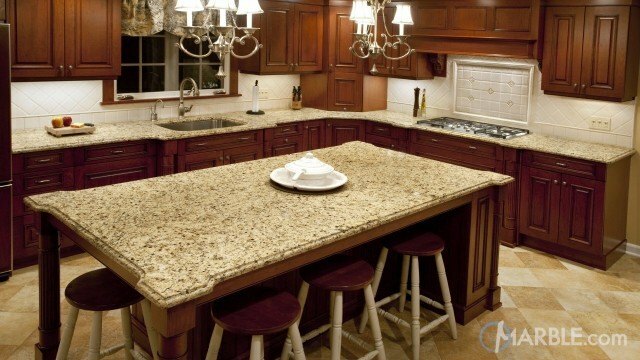 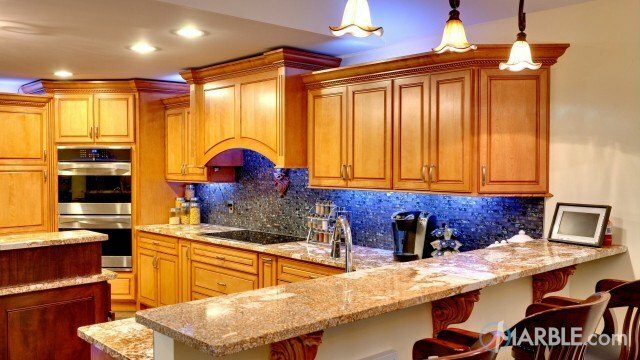 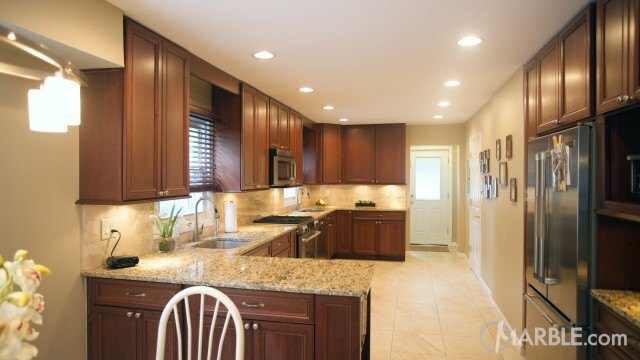 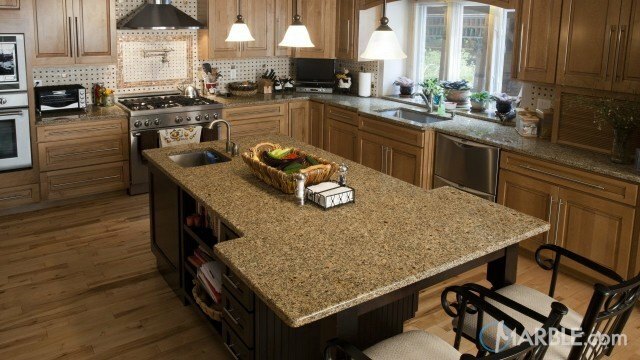 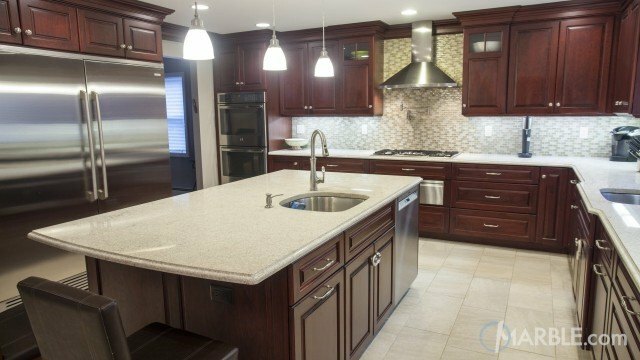 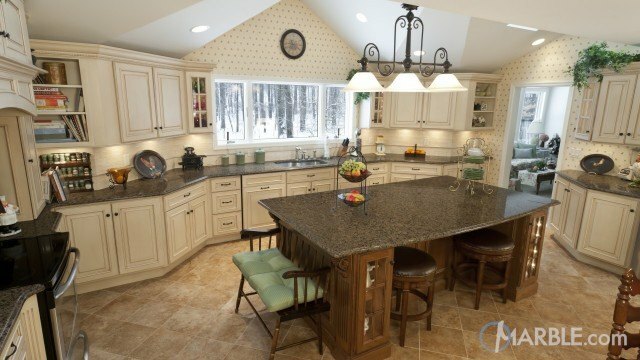 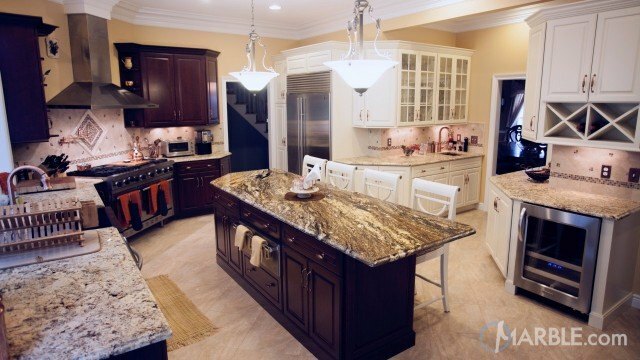 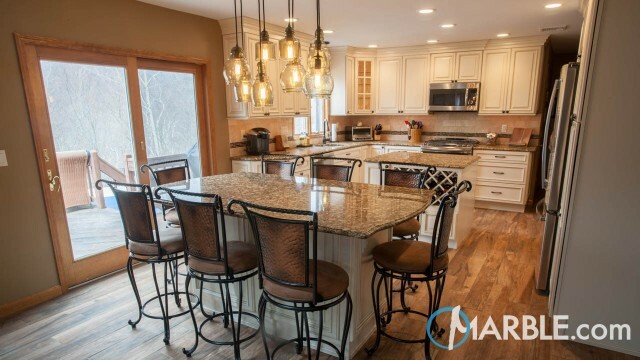 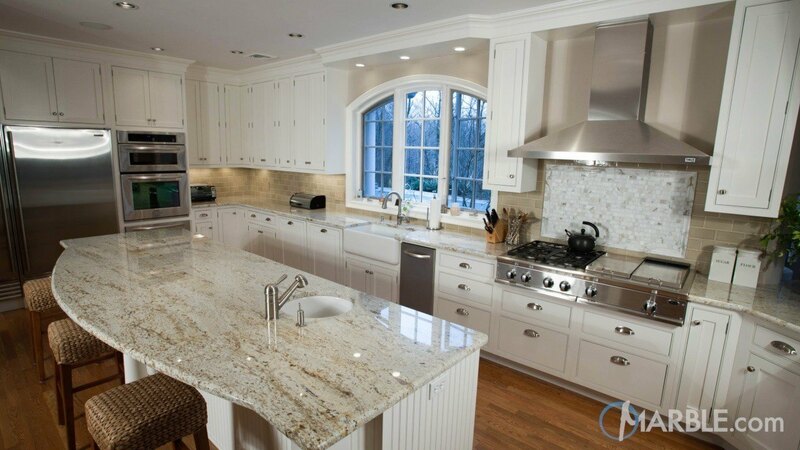 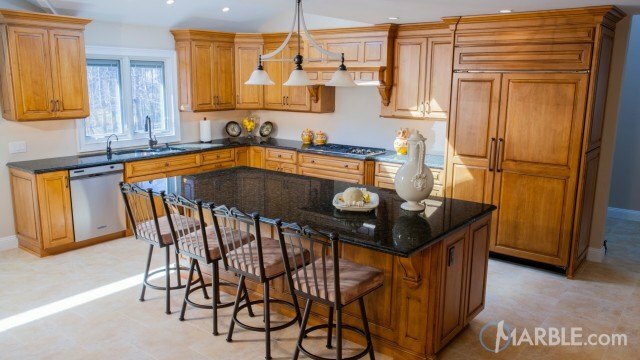 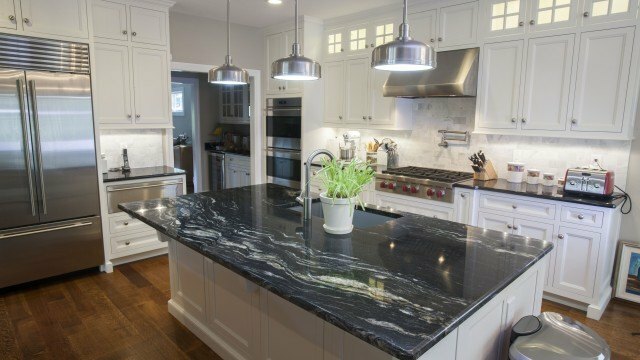 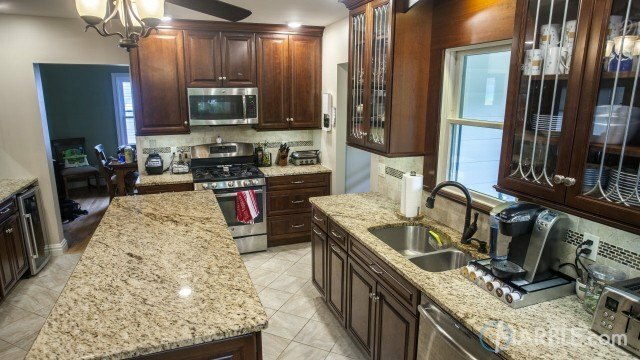 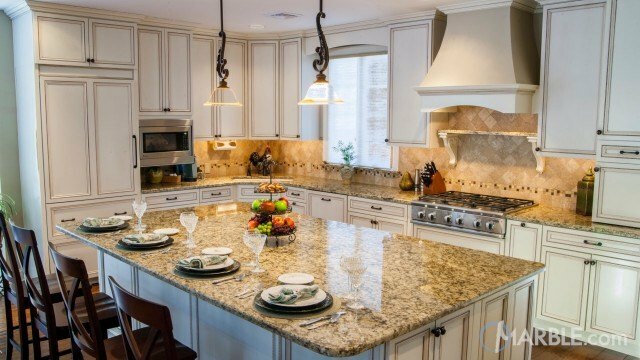 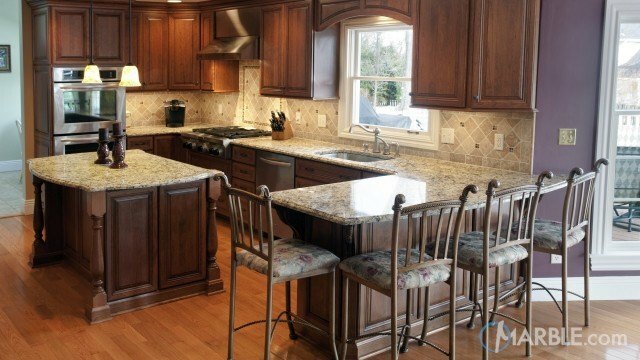 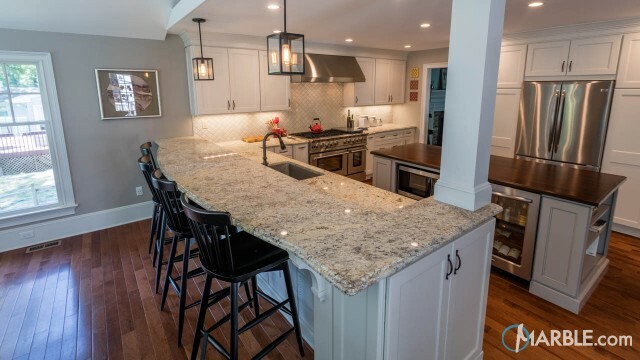 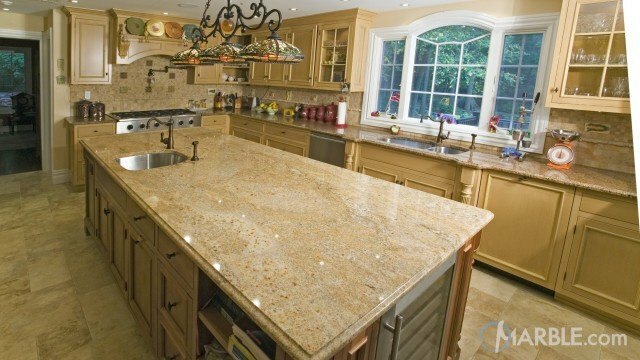 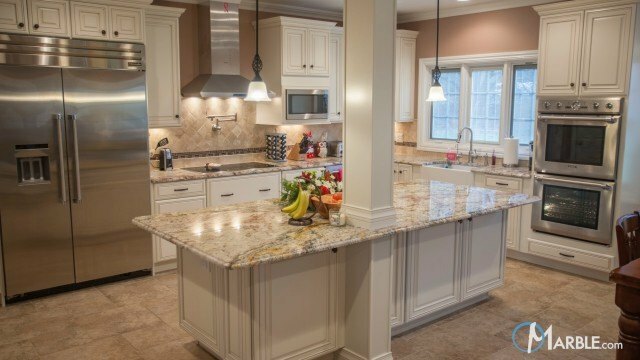 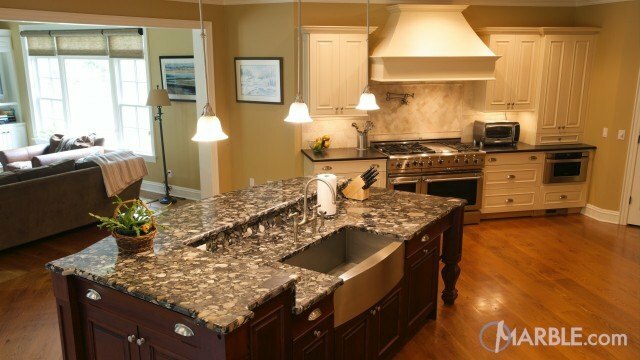 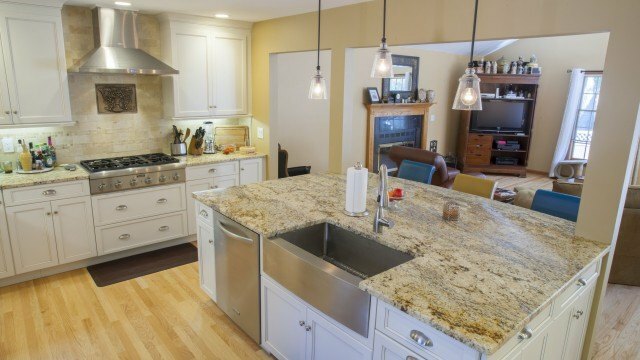 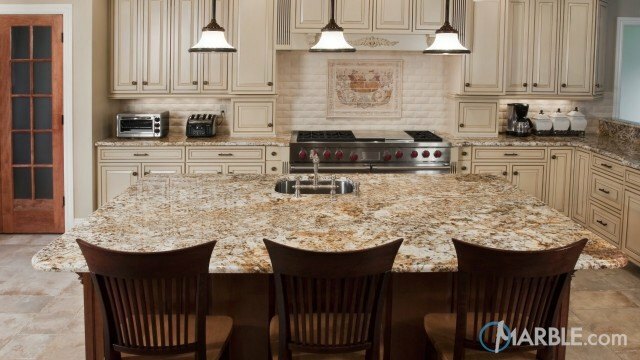 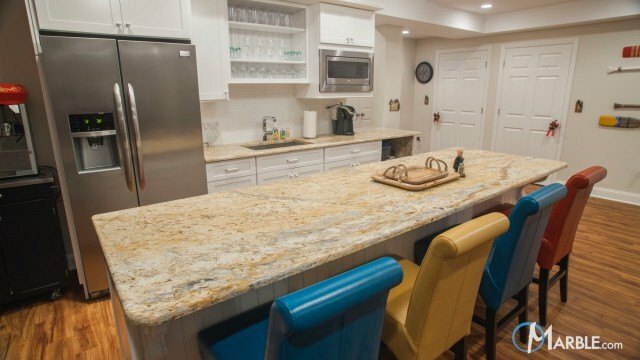 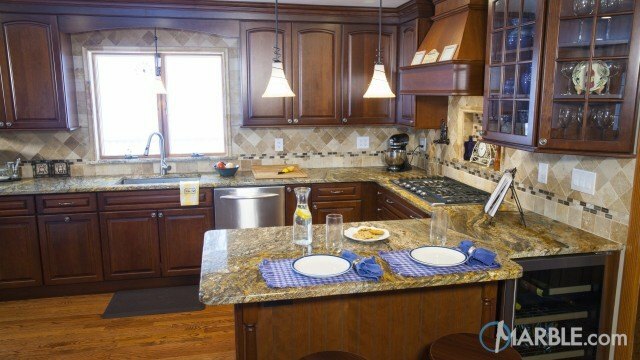 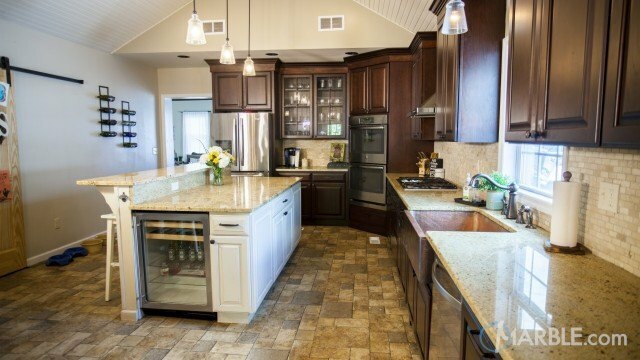 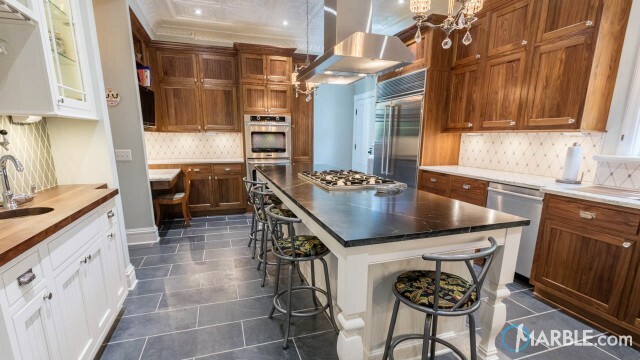 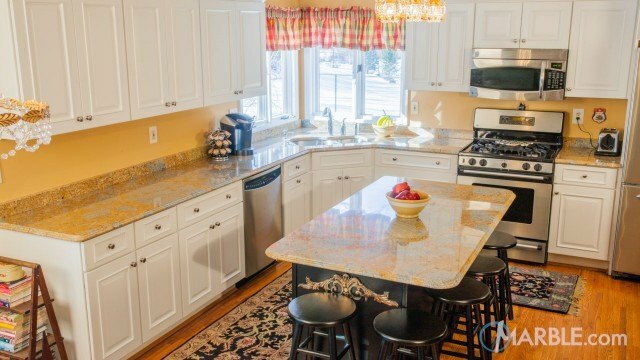 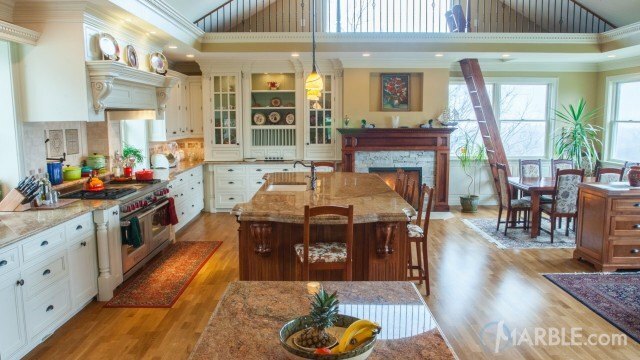 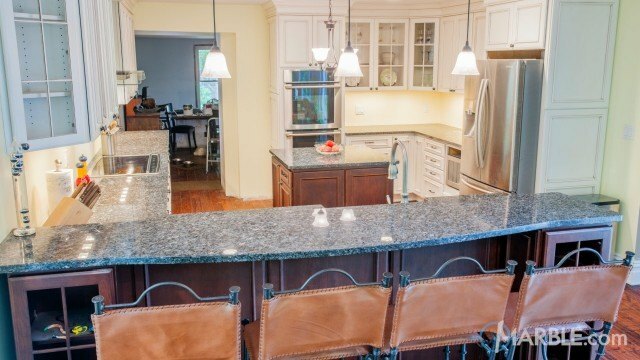 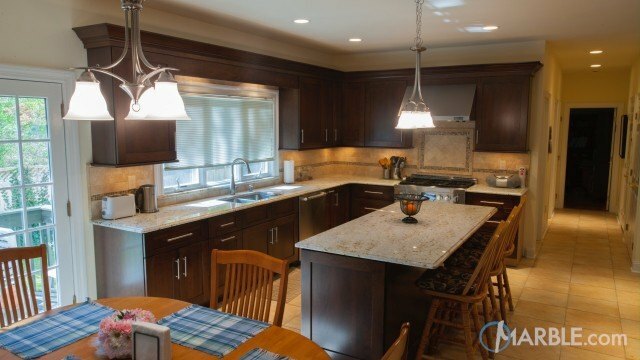 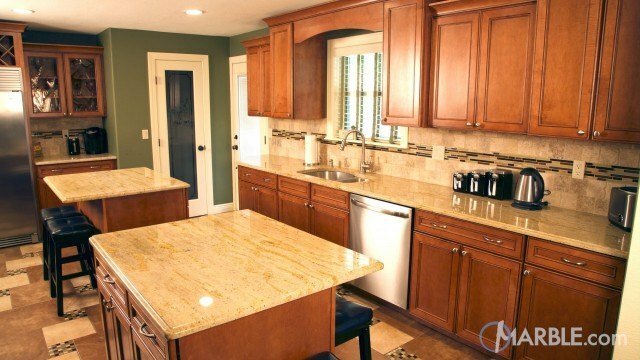 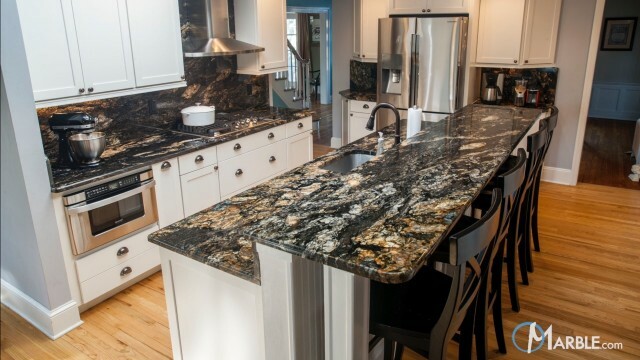 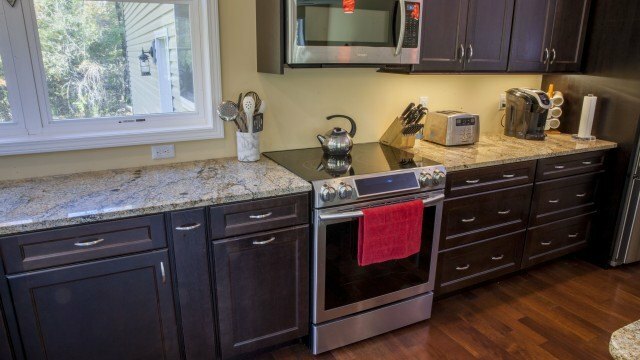 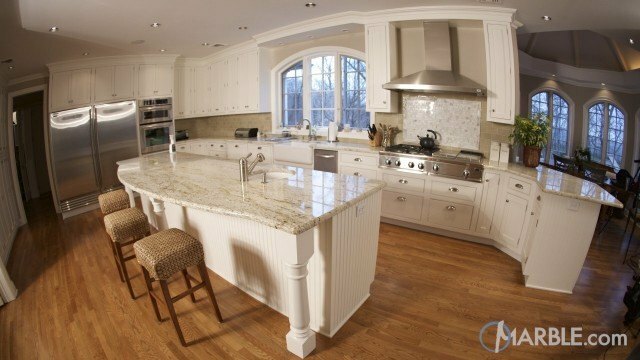 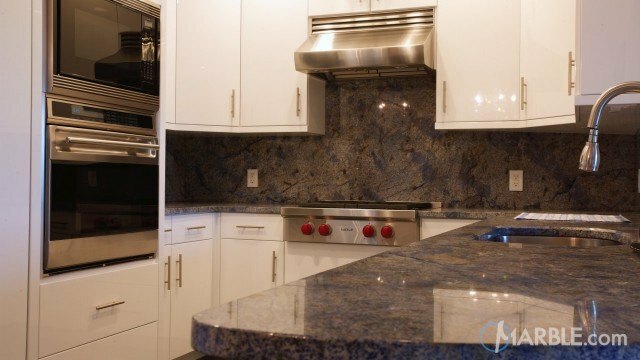 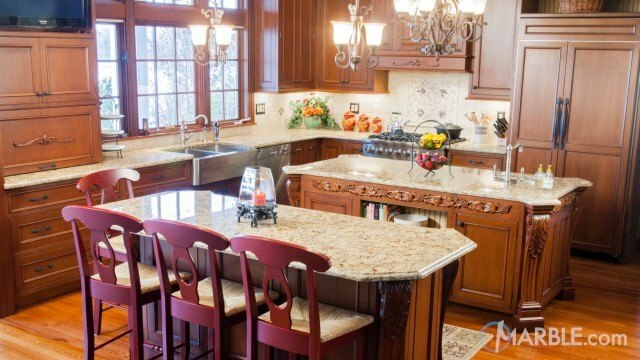 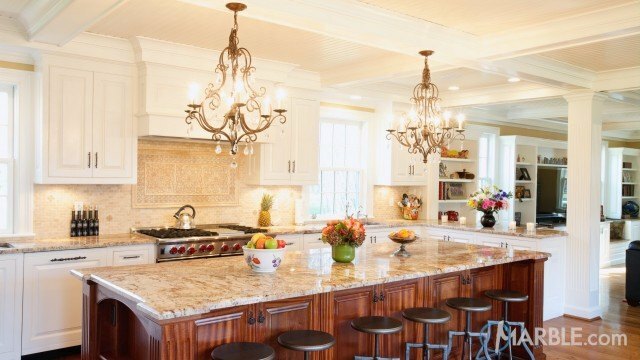 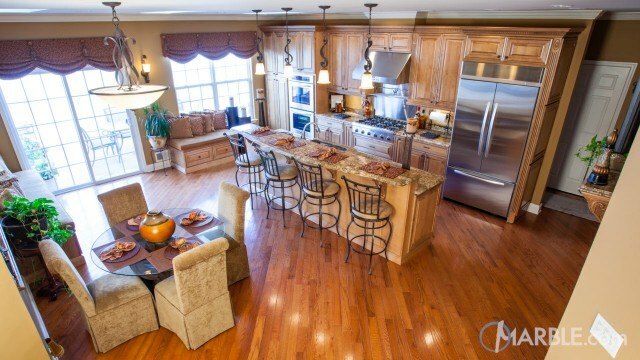 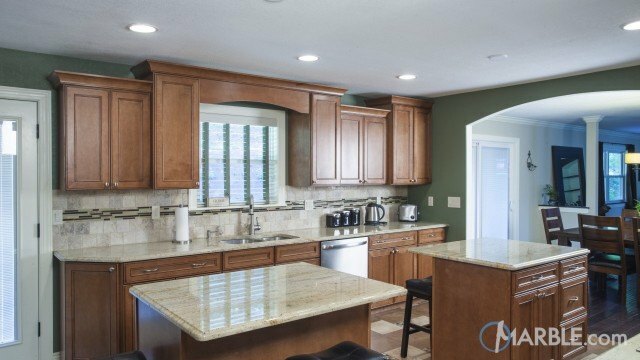 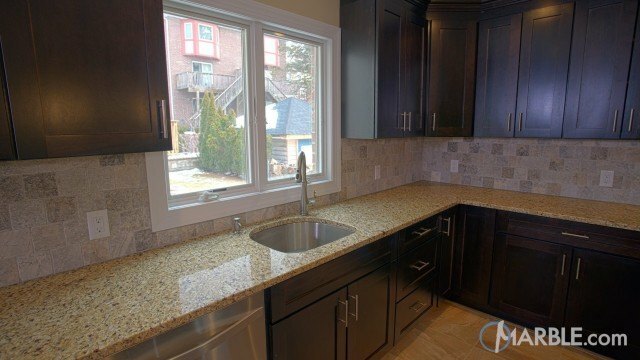 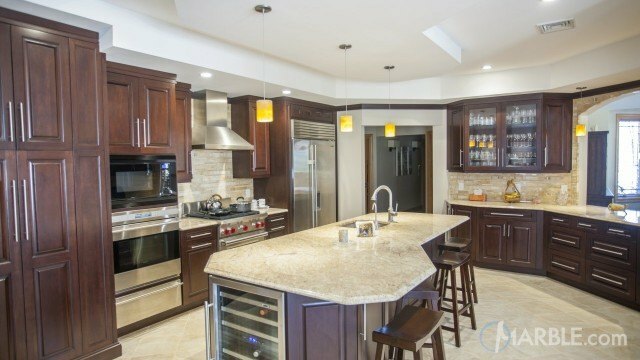 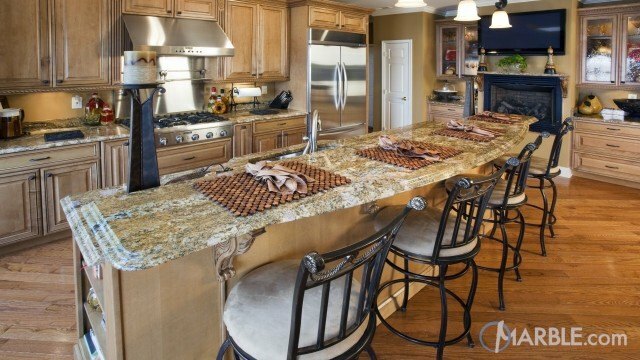 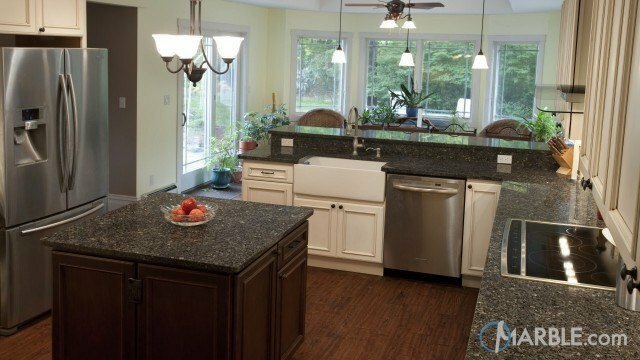 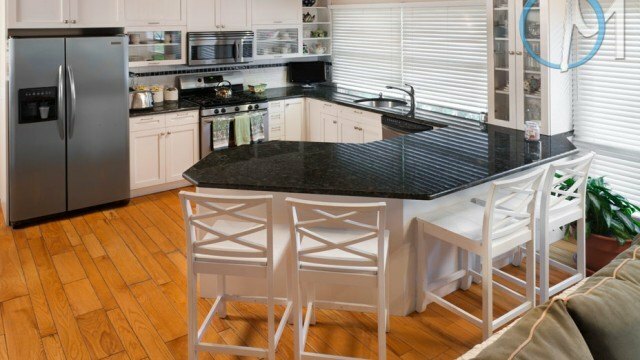 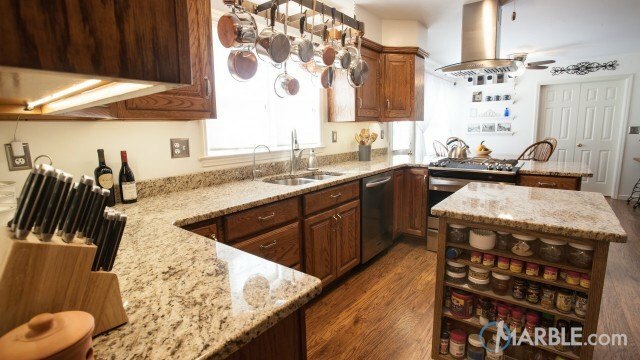 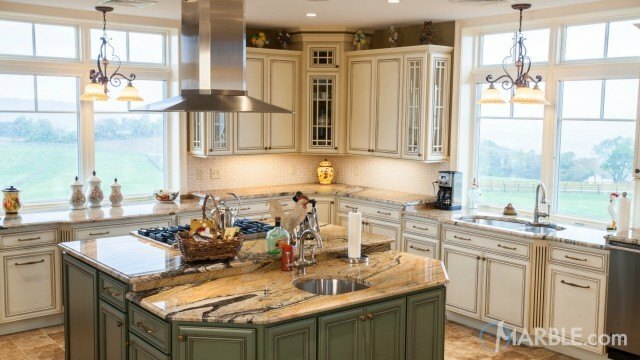 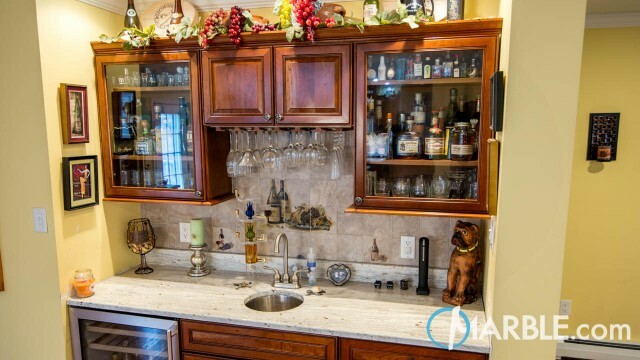 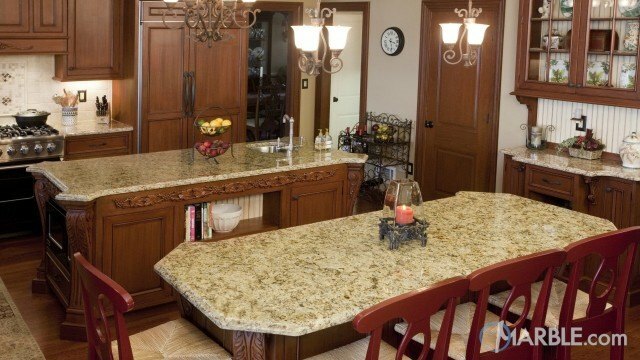 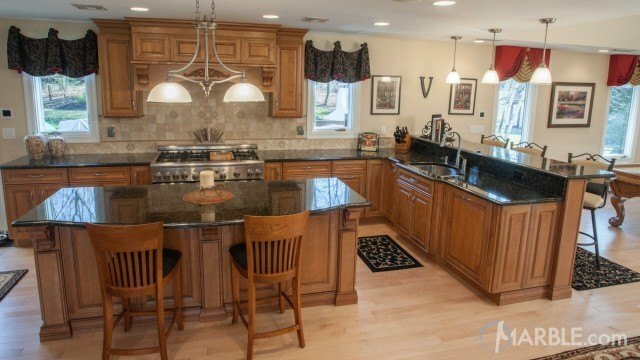 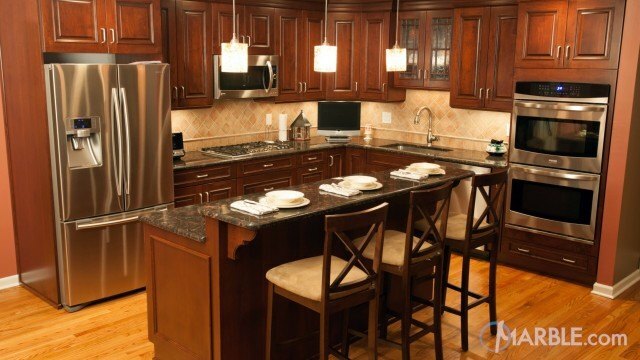 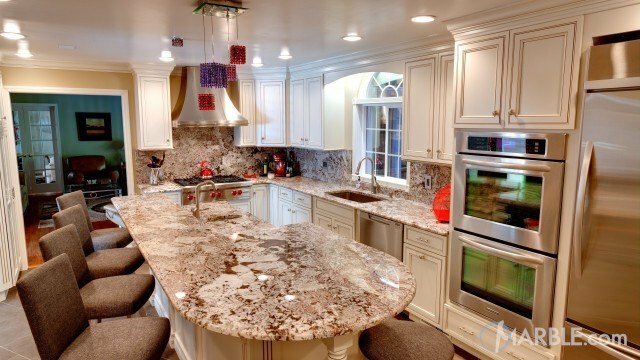 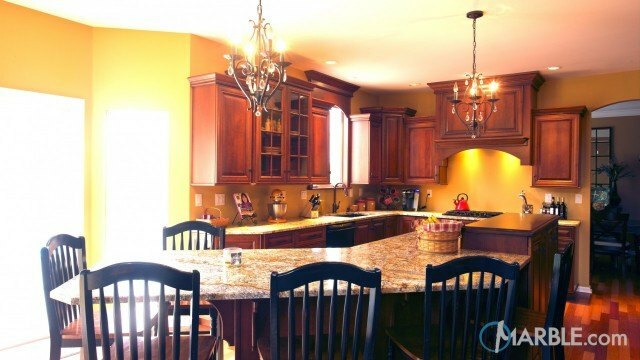 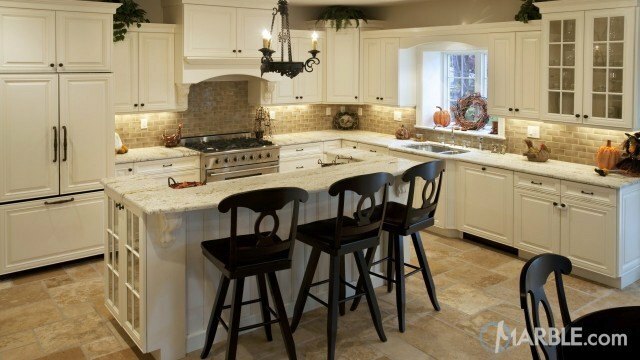 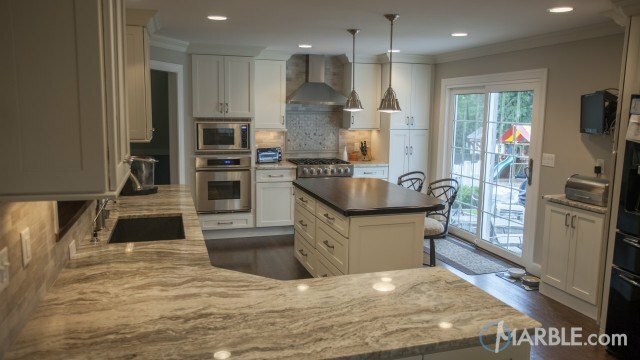 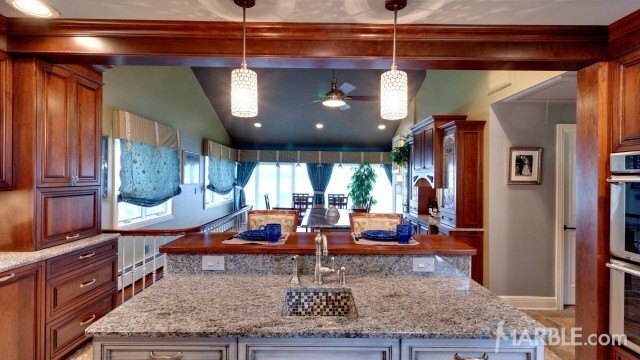 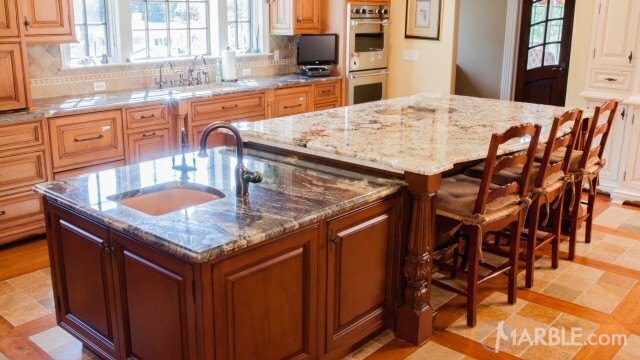 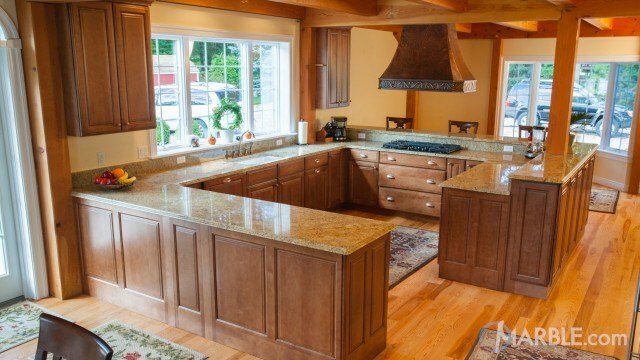 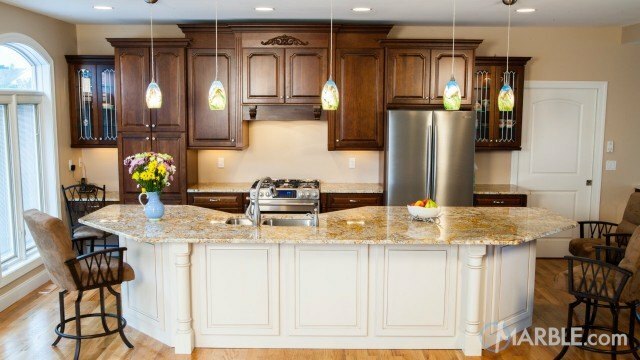 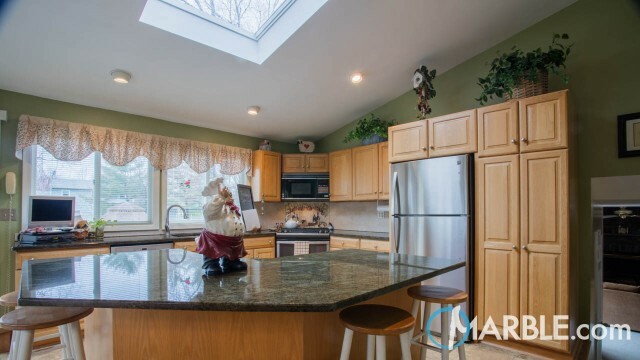 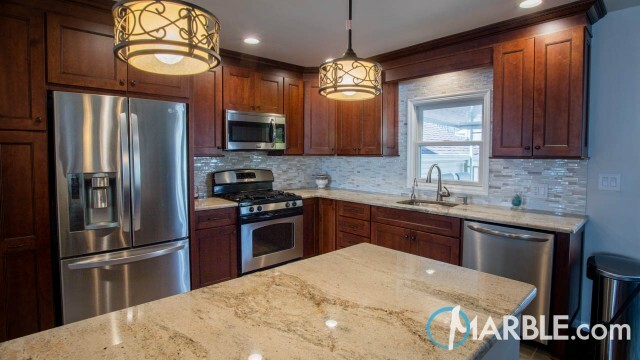 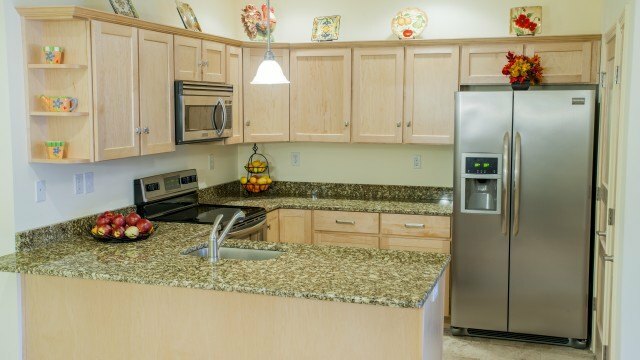 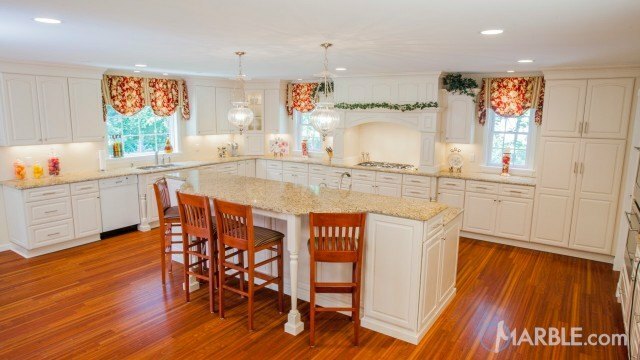 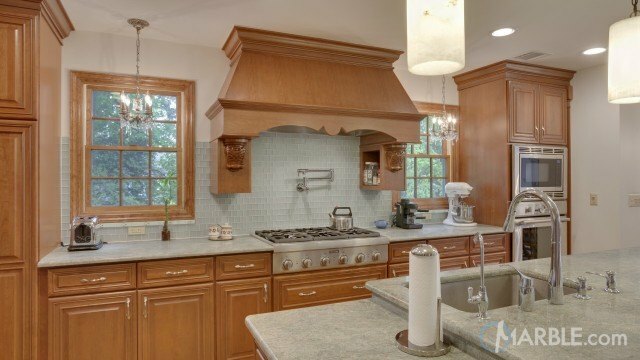 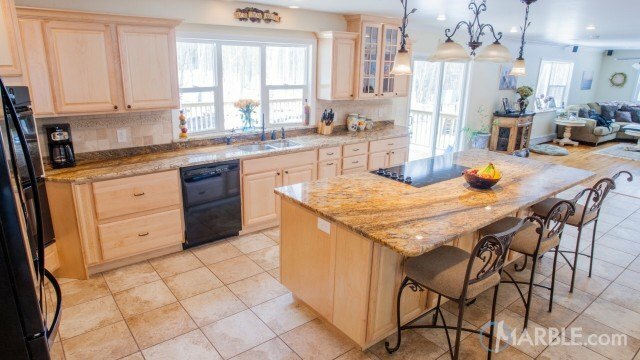 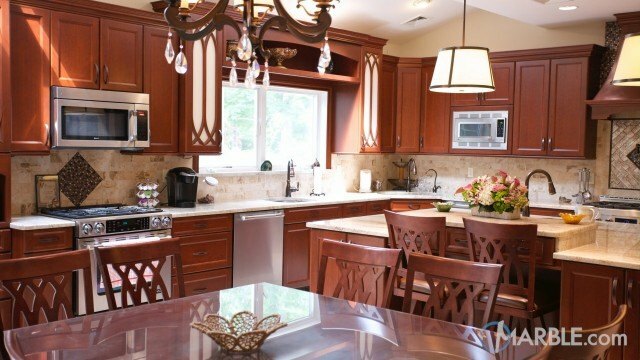 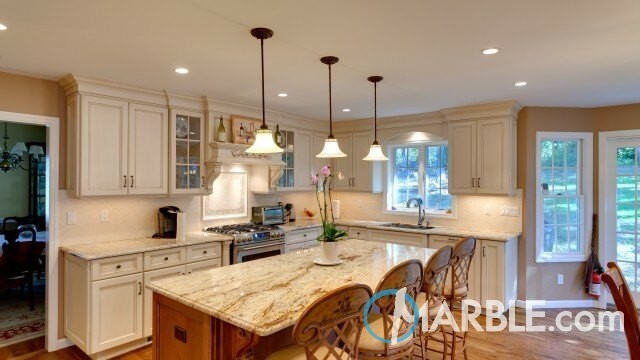 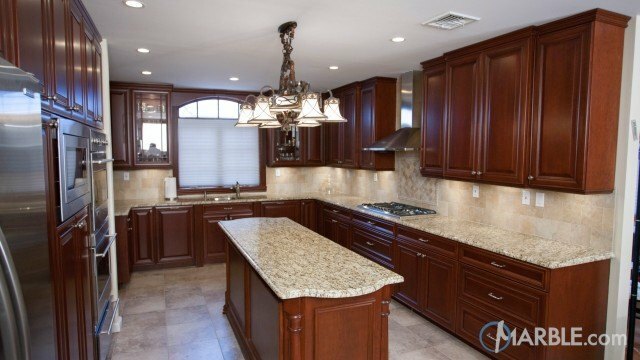 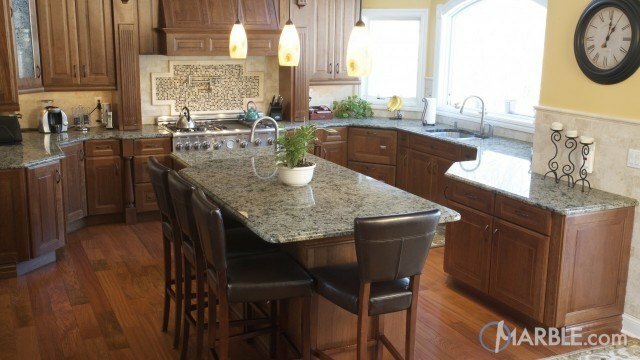 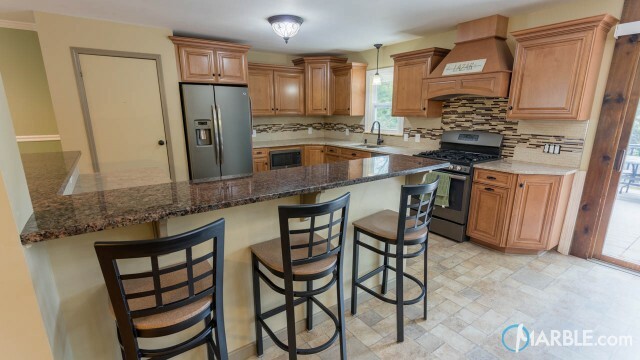 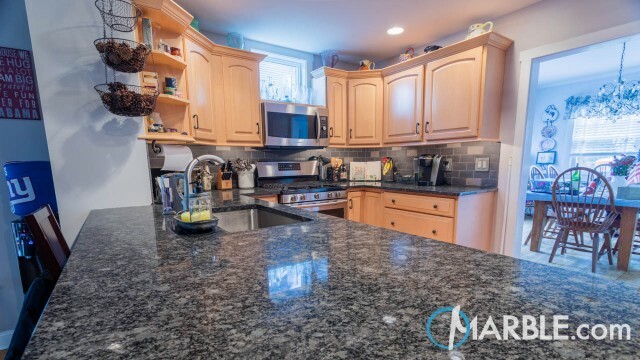 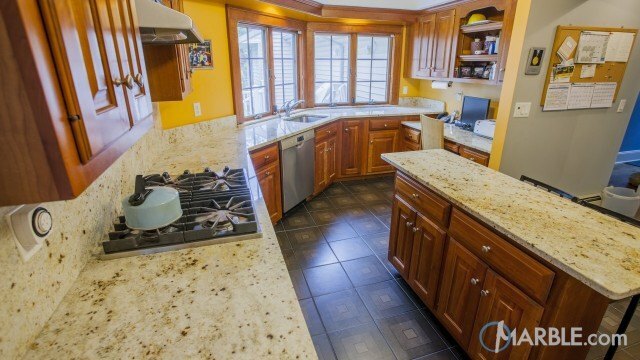 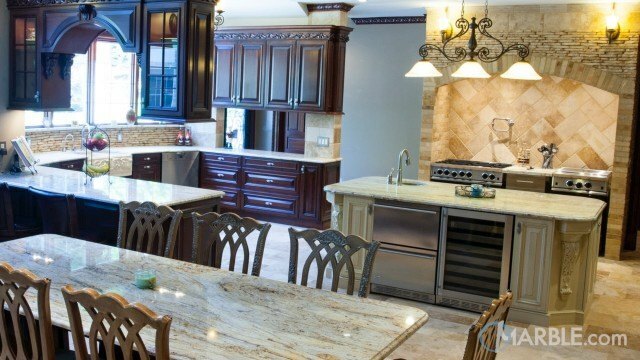 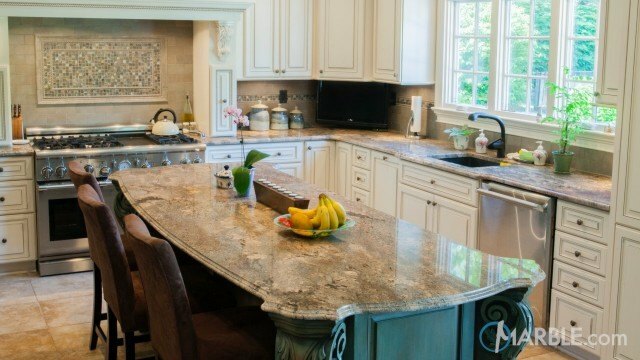 Colonial Gold granite looks great in this large kitchen. 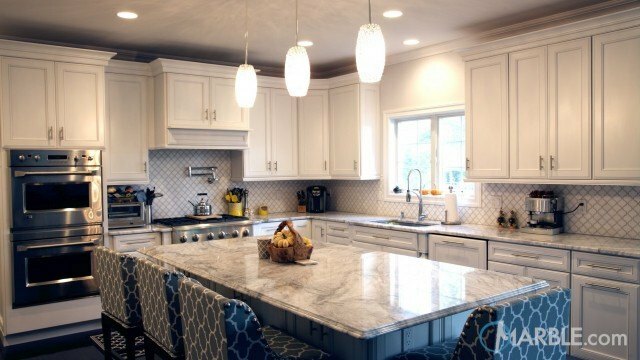 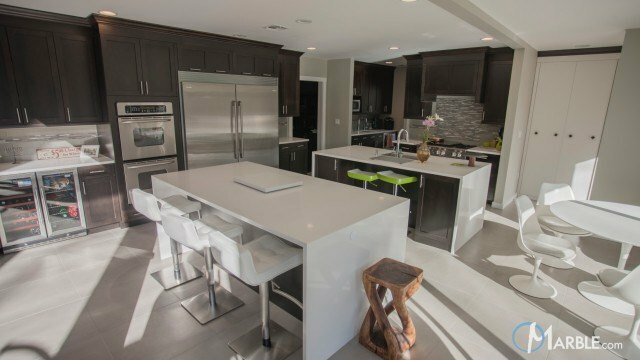 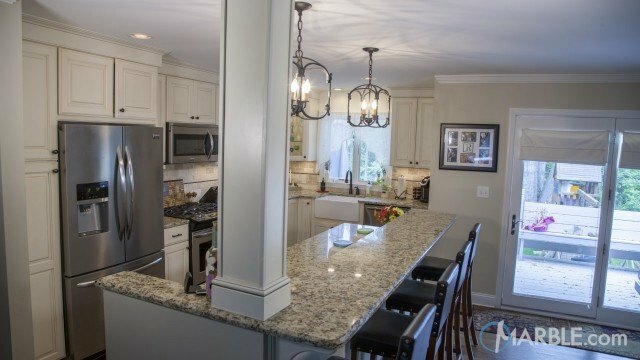 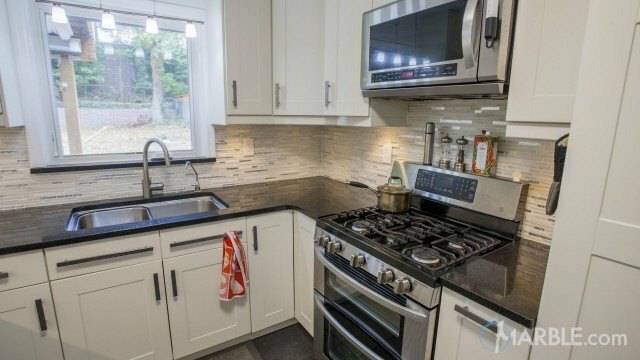 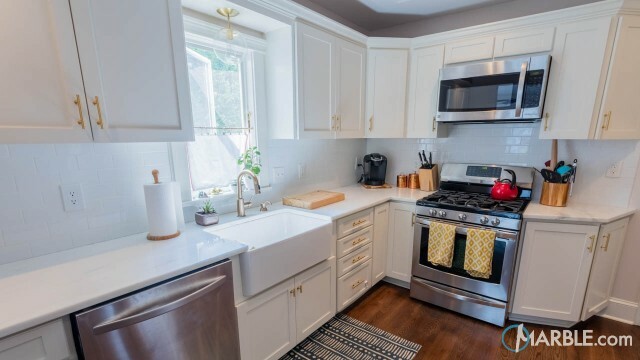 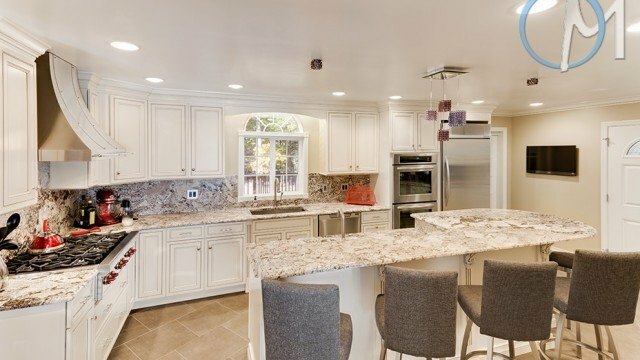 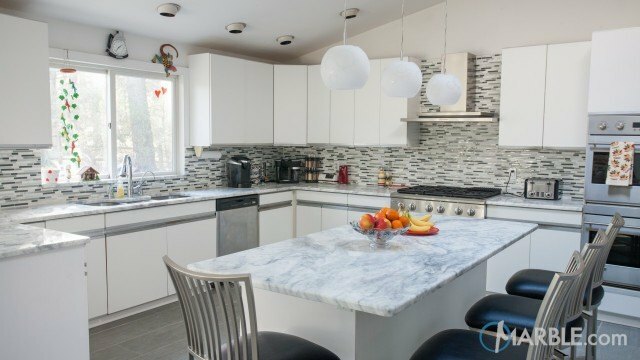 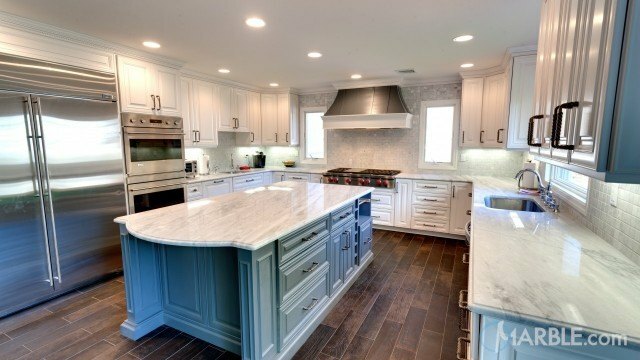 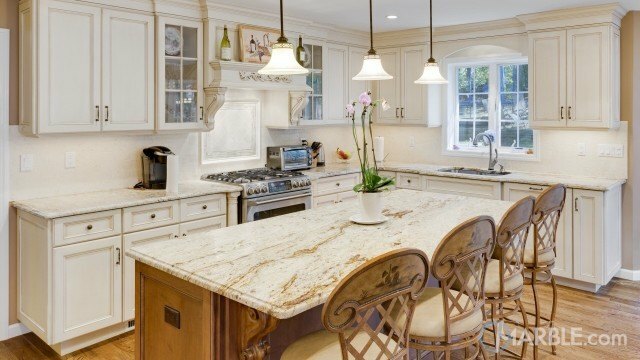 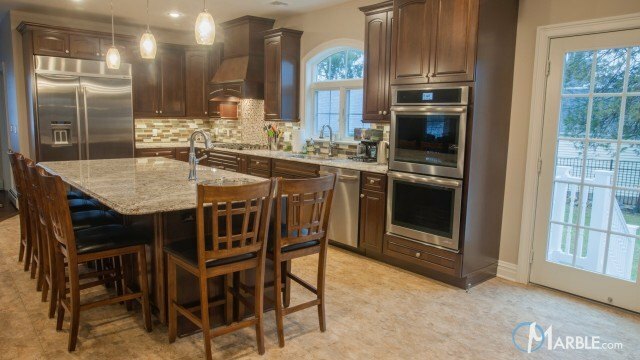 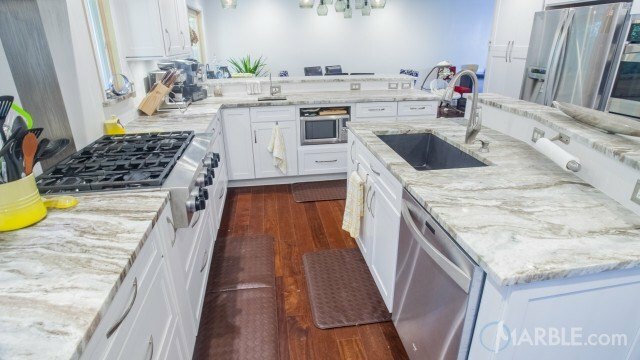 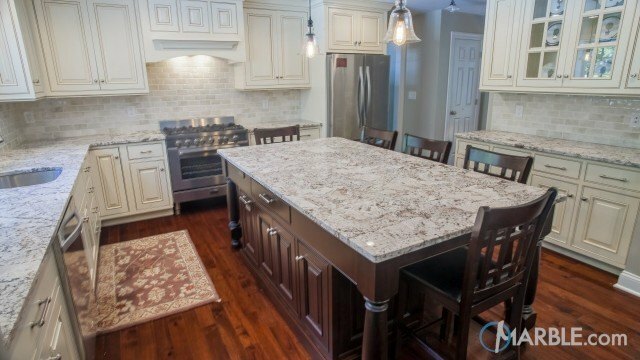 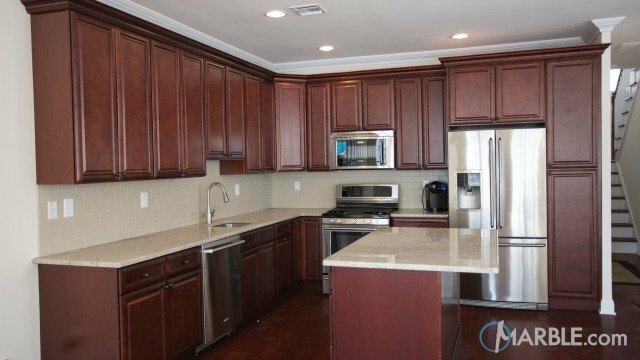 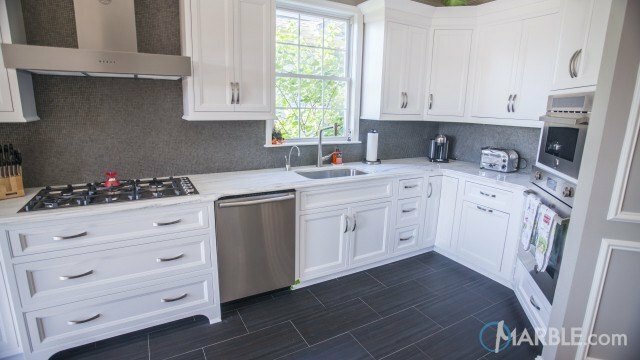 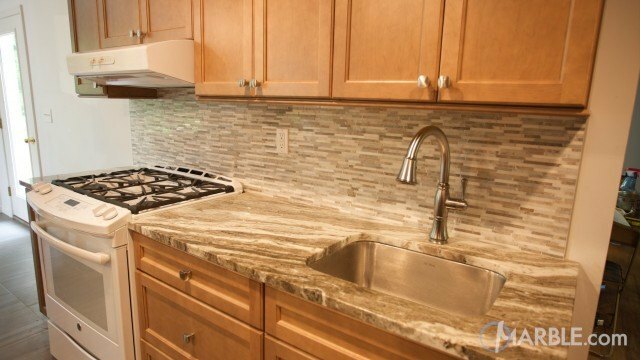 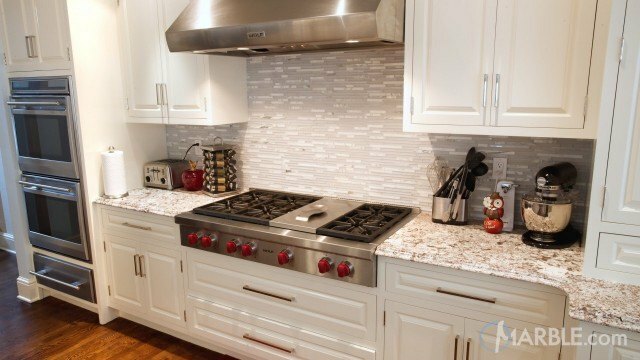 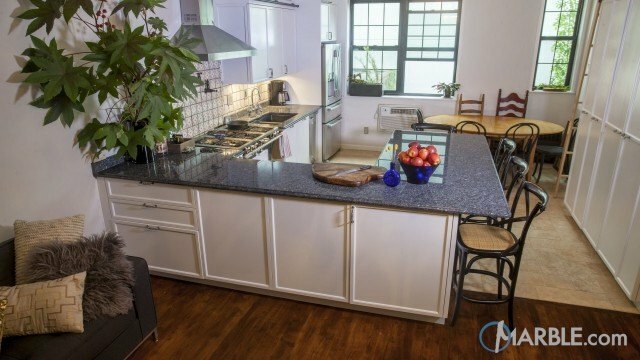 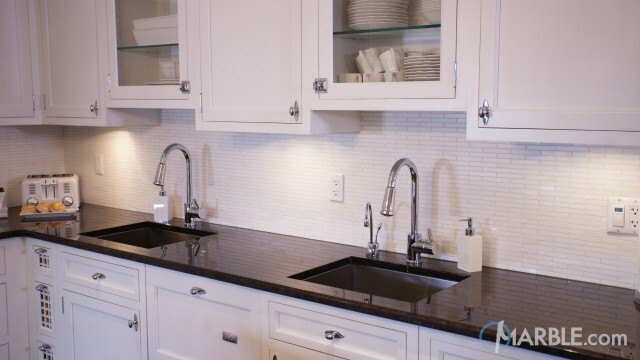 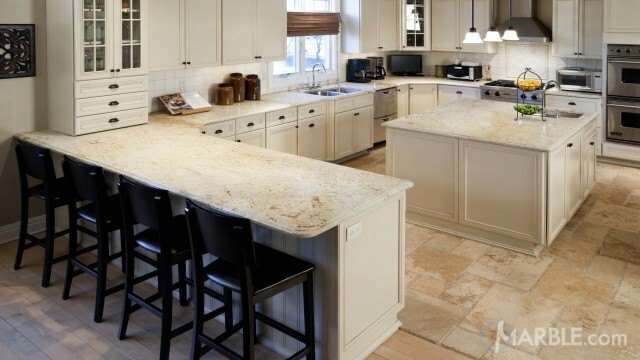 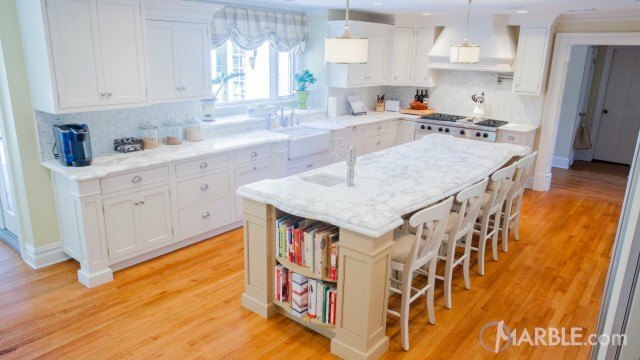 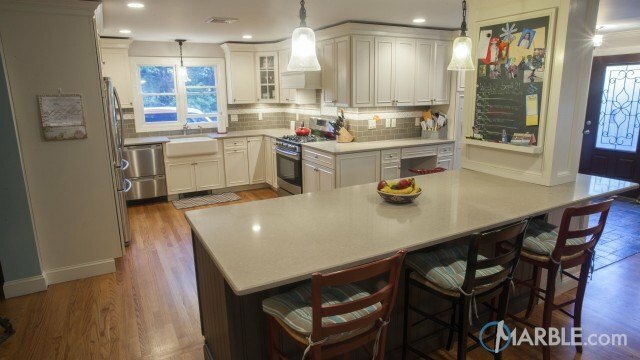 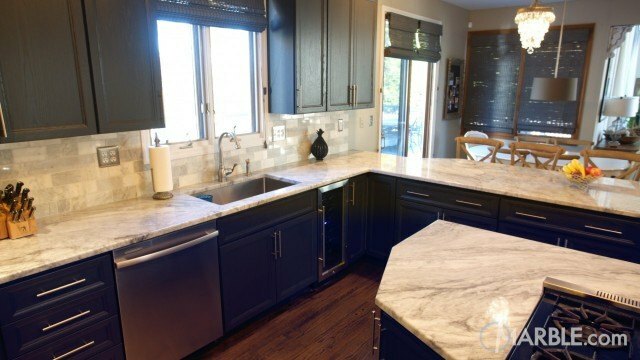 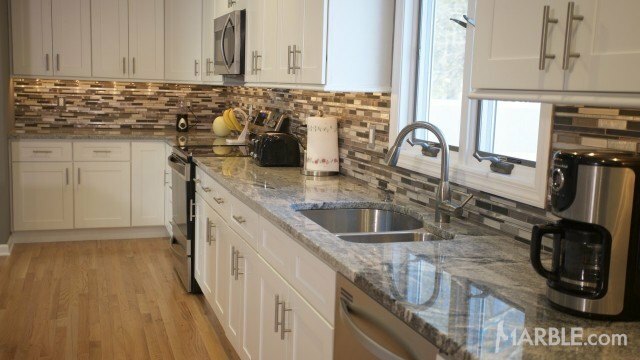 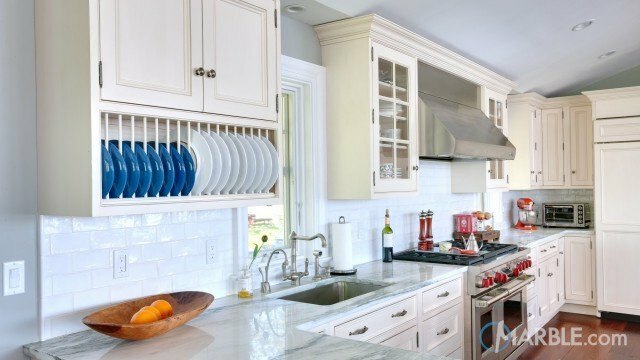 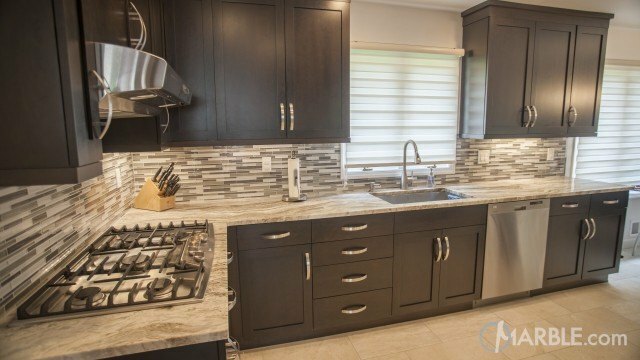 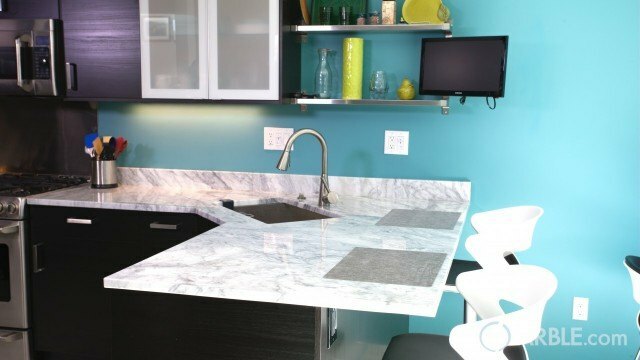 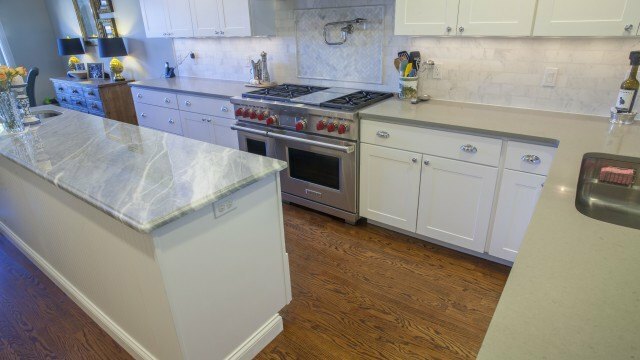 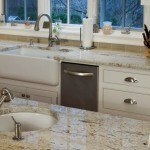 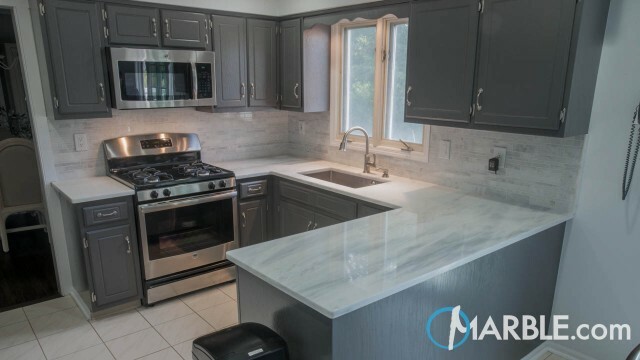 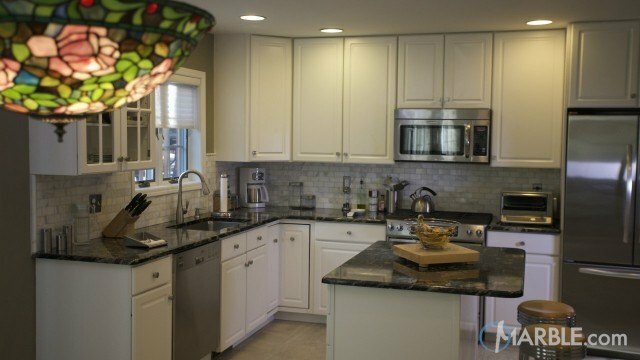 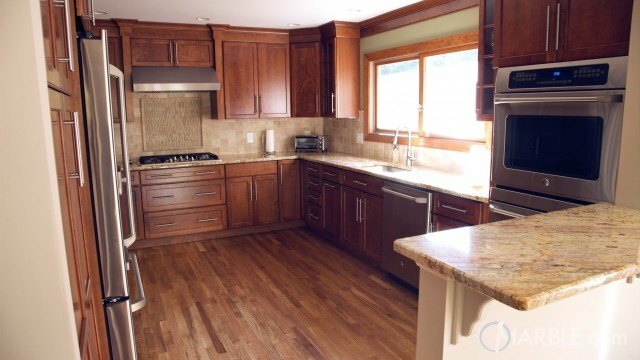 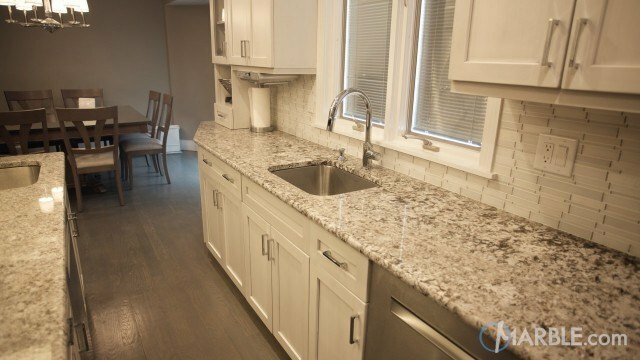 The white counter top matches perfectly to the white cabinets while the brown veins/speckles work well with the flooring. 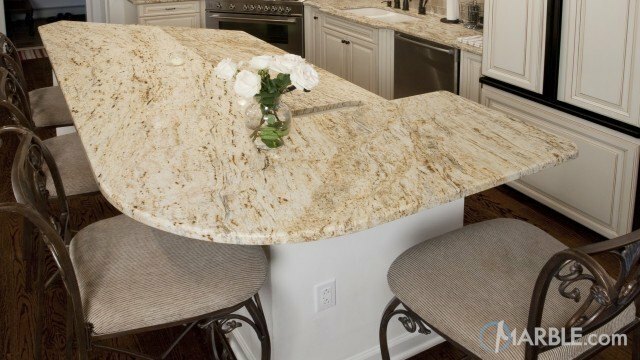 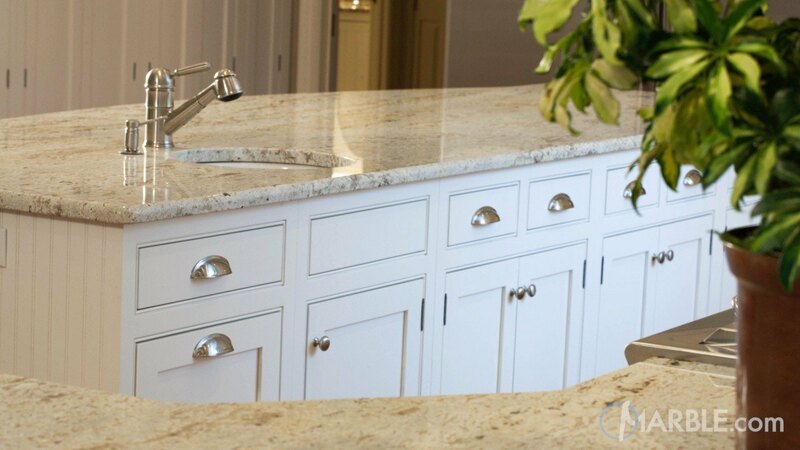 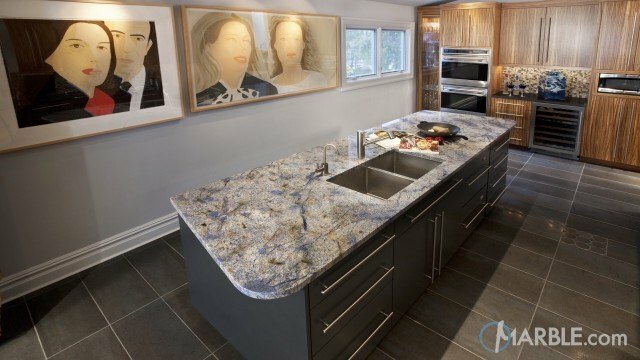 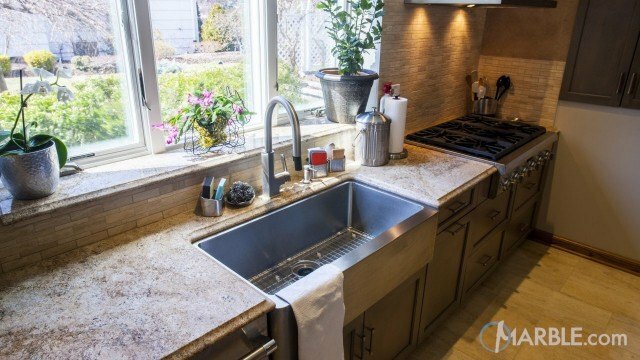 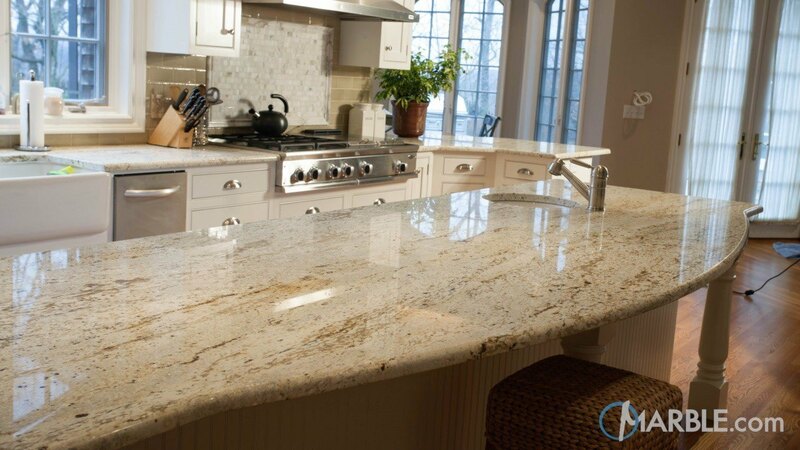 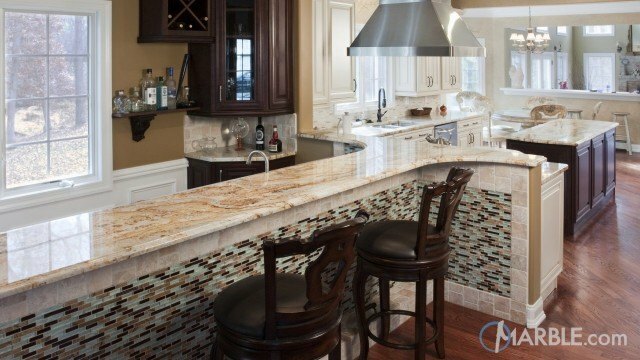 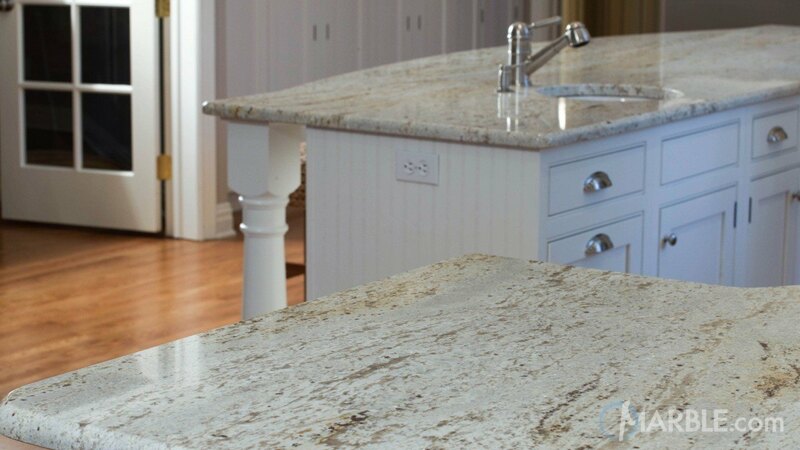 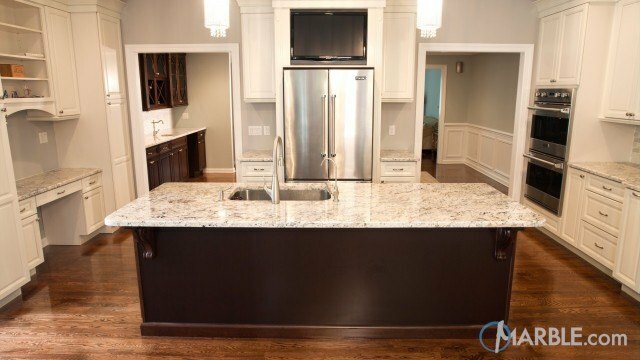 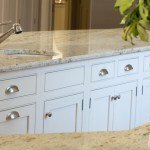 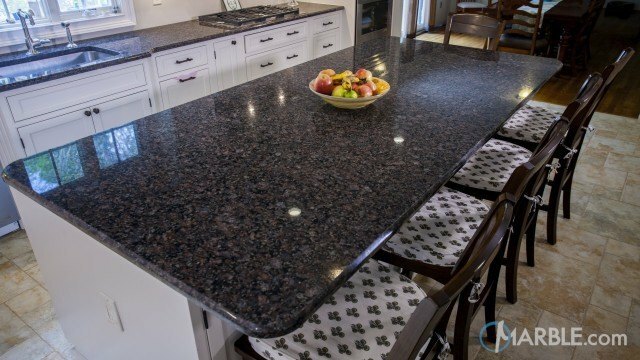 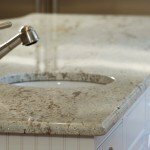 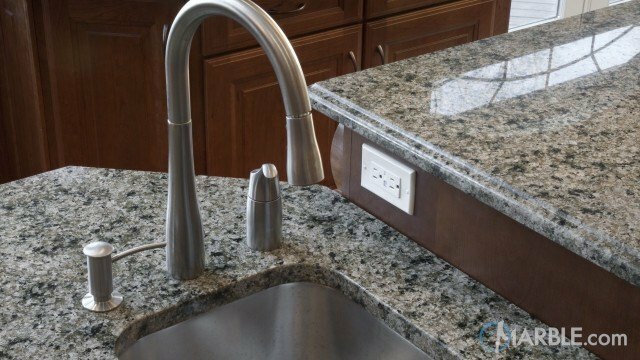 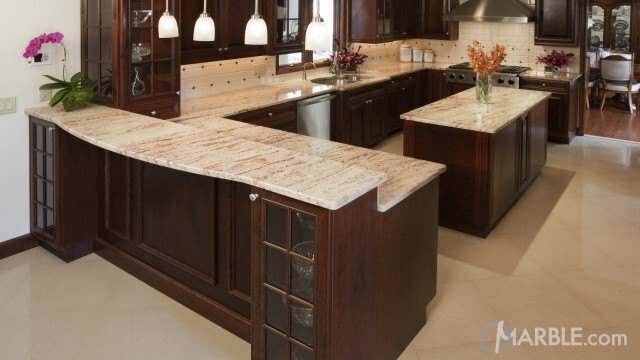 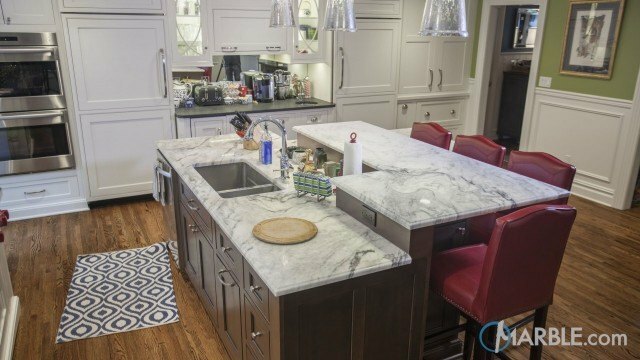 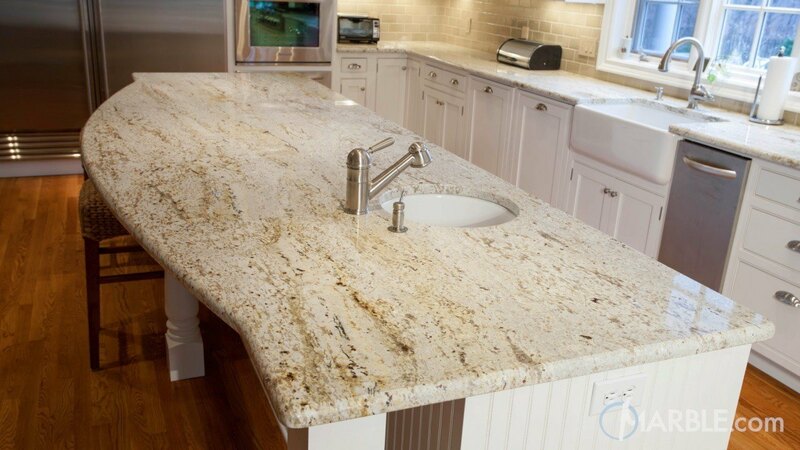 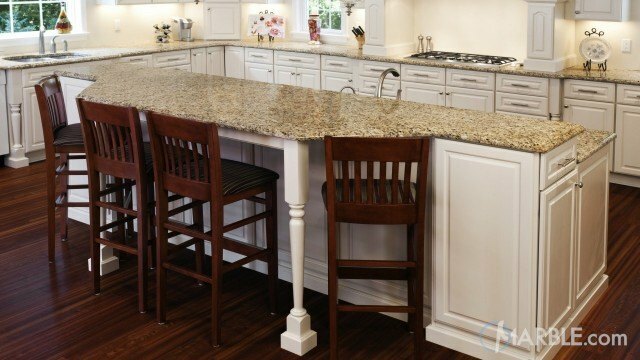 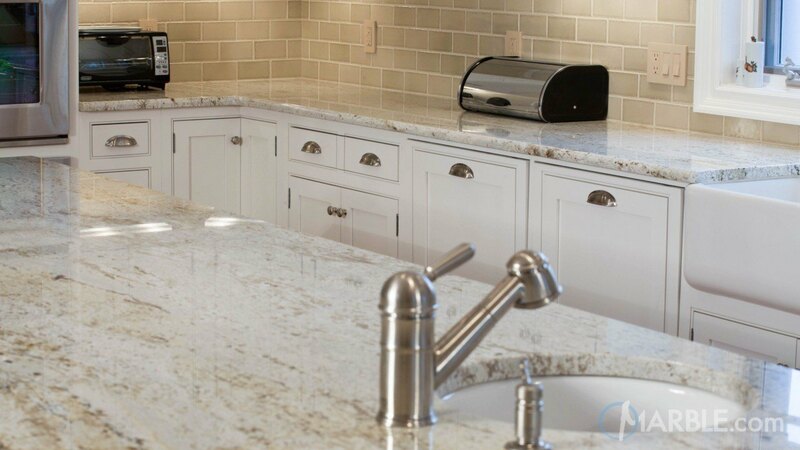 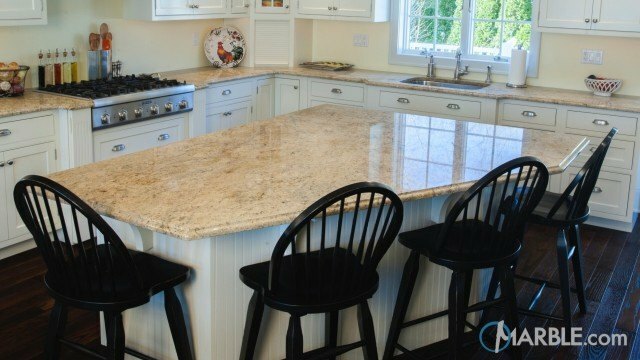 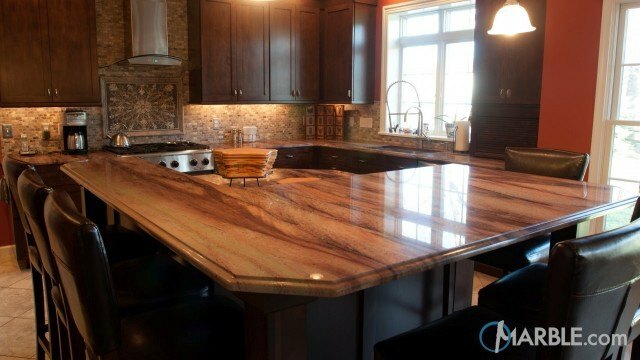 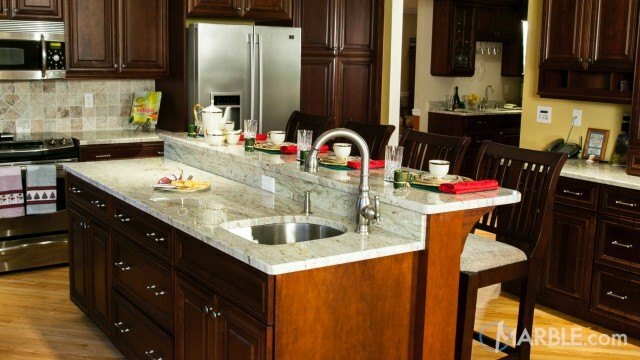 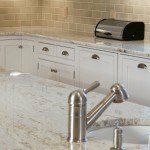 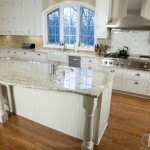 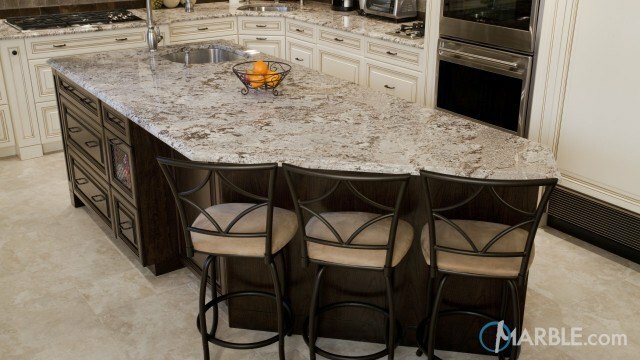 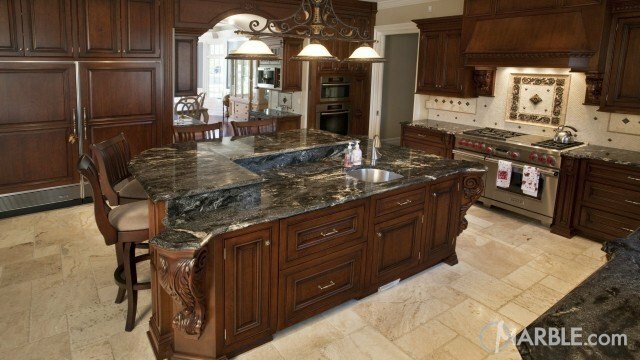 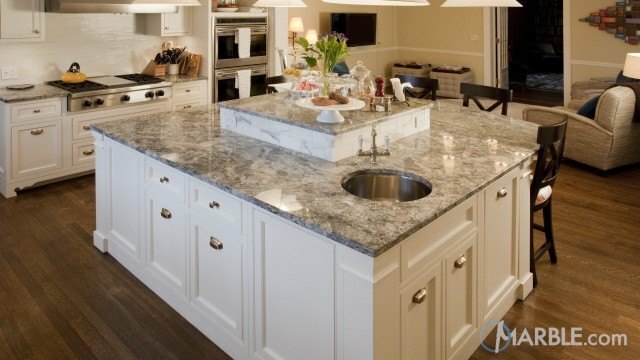 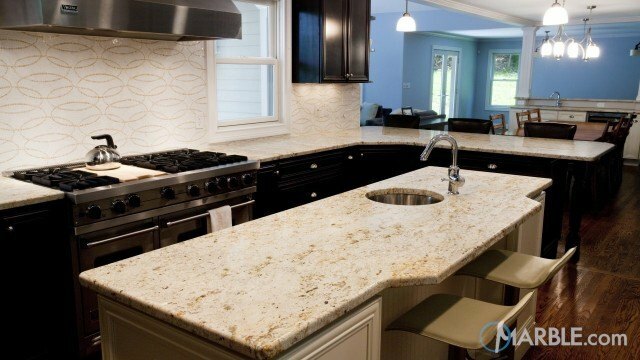 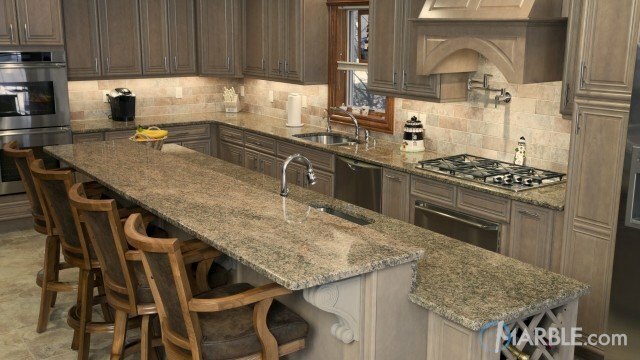 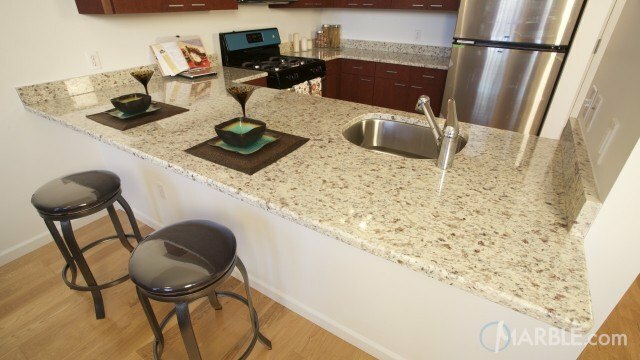 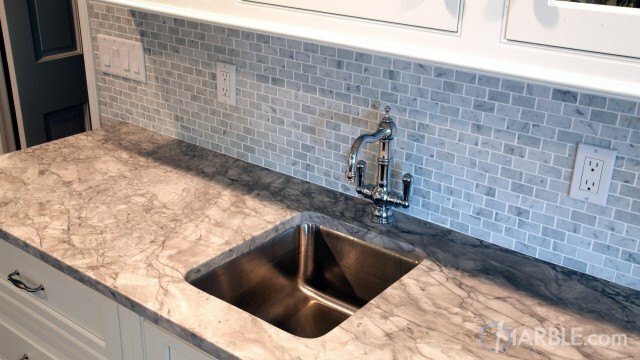 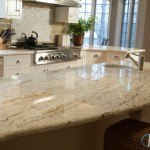 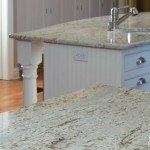 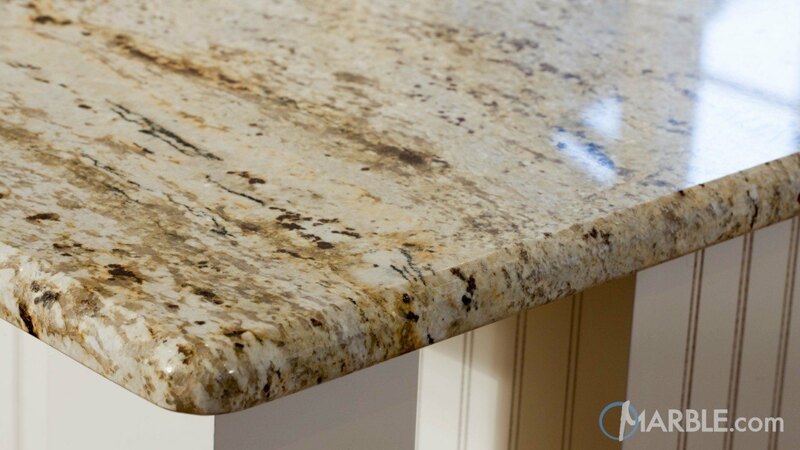 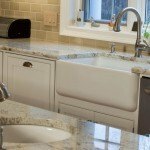 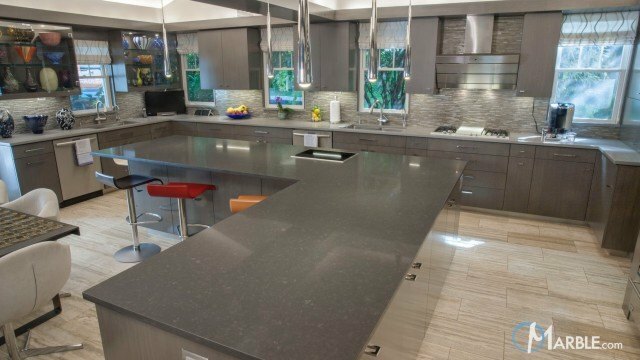 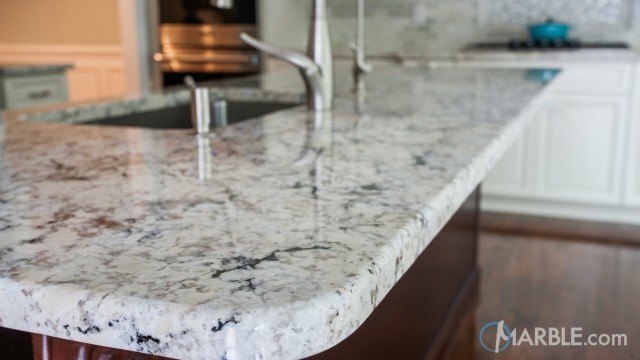 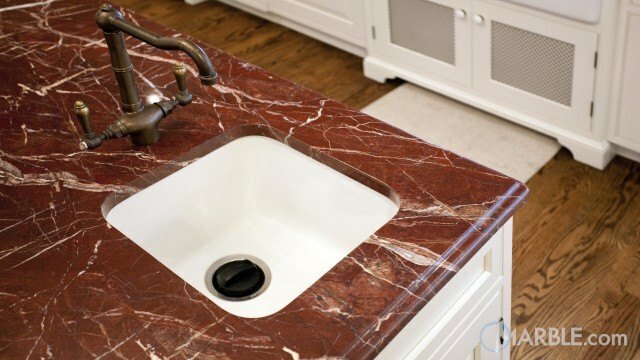 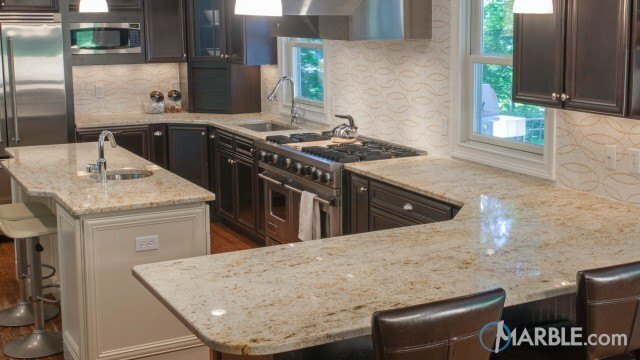 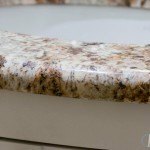 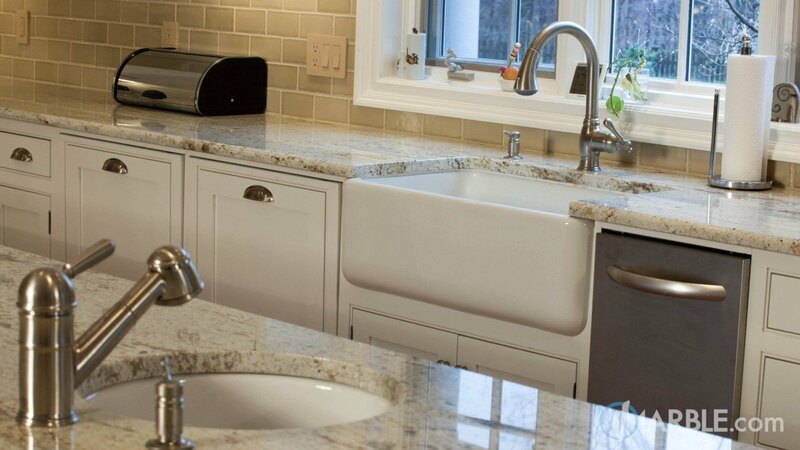 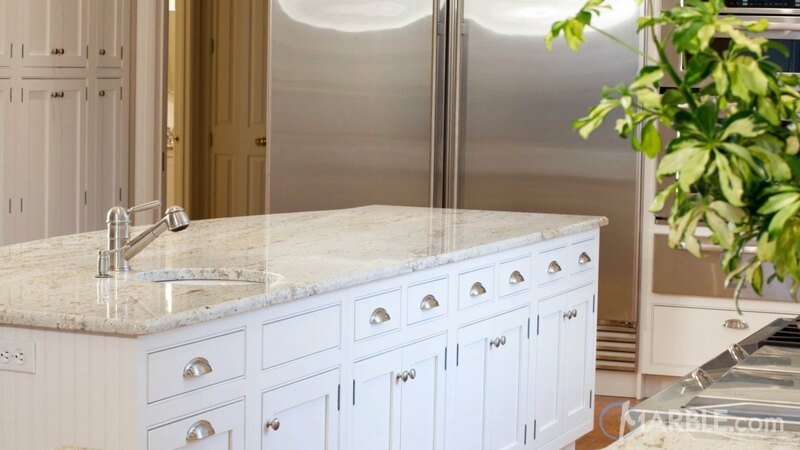 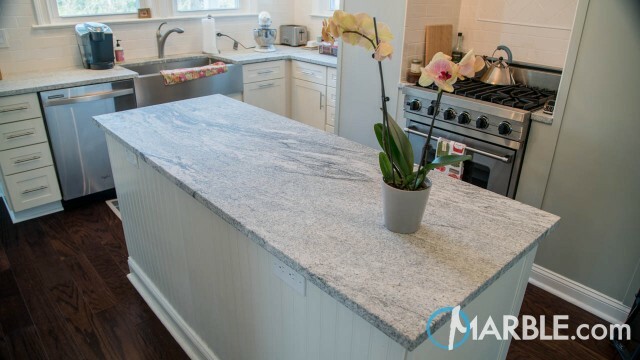 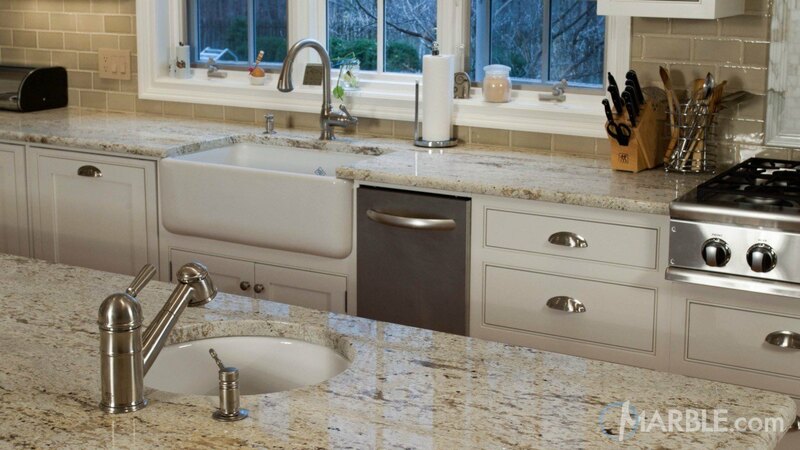 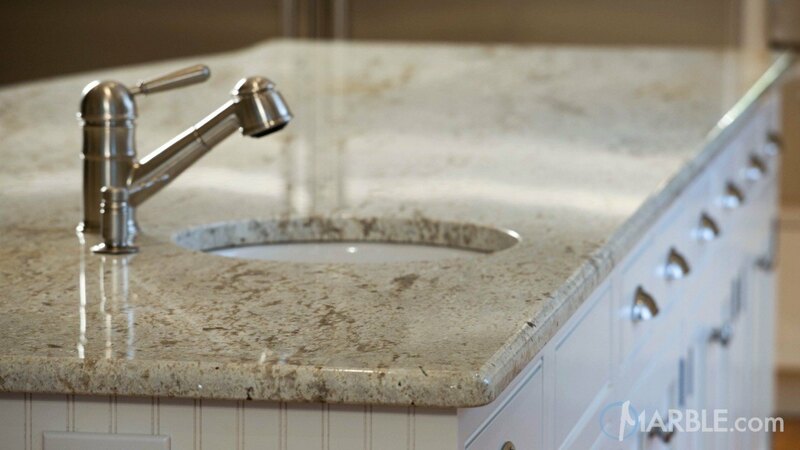 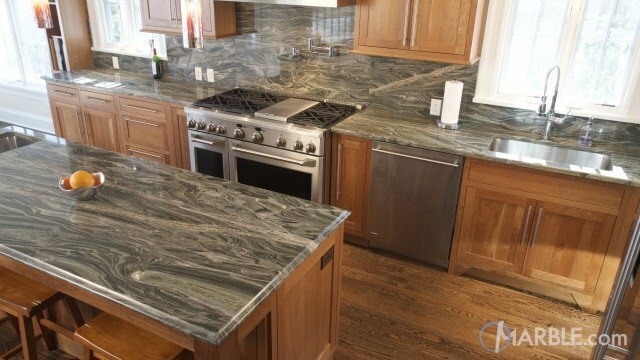 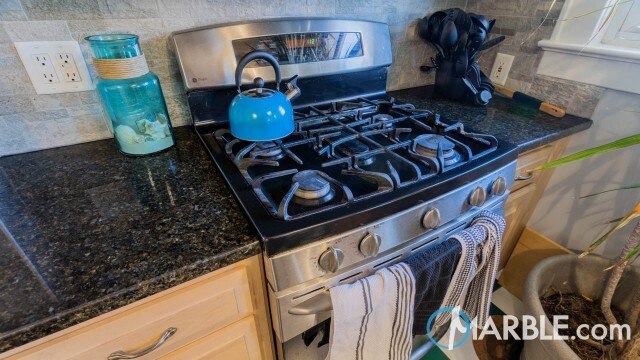 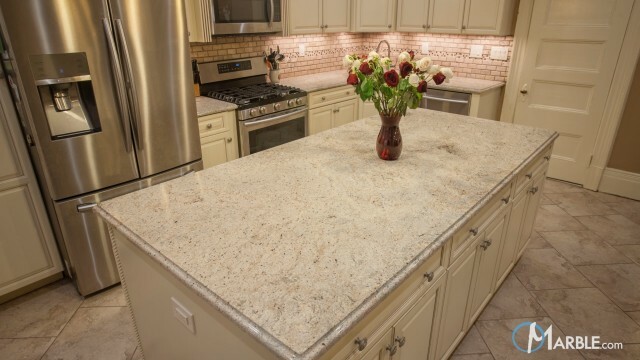 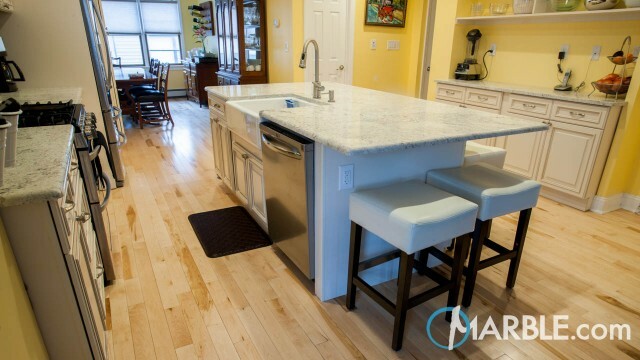 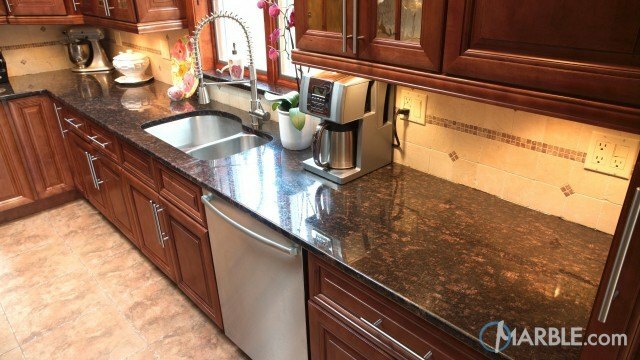 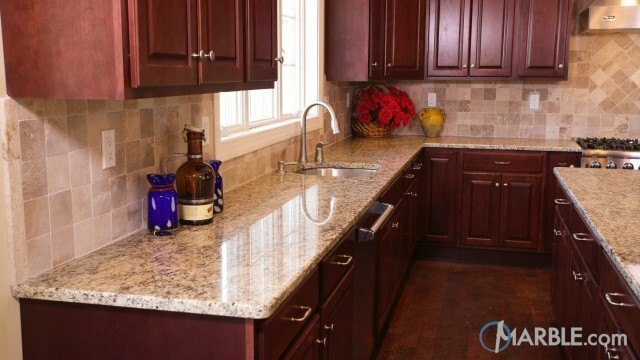 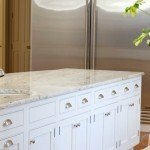 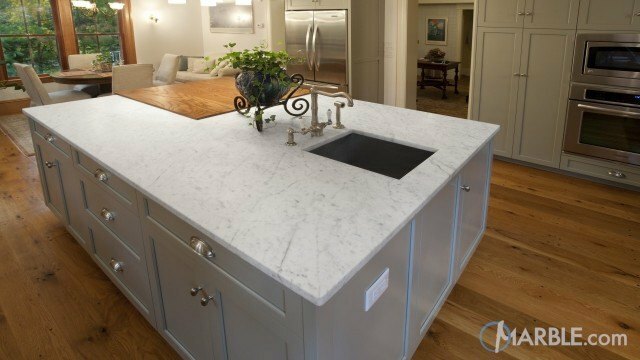 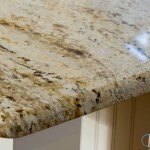 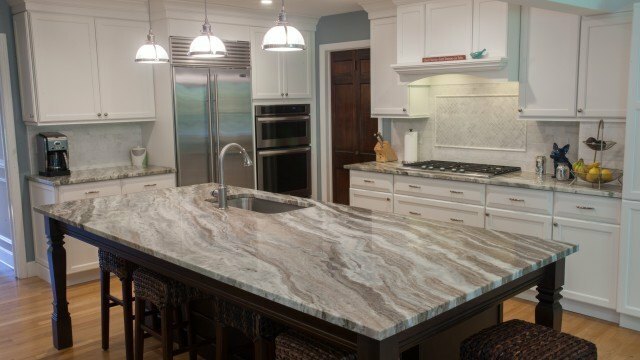 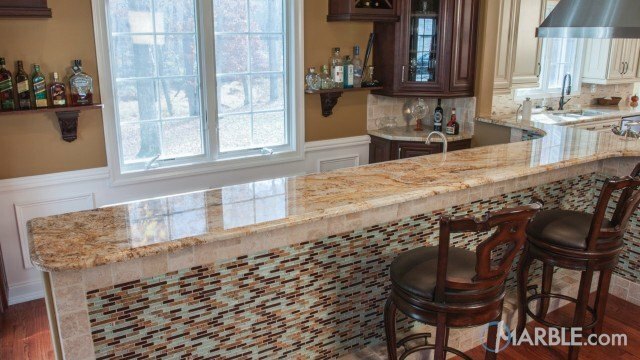 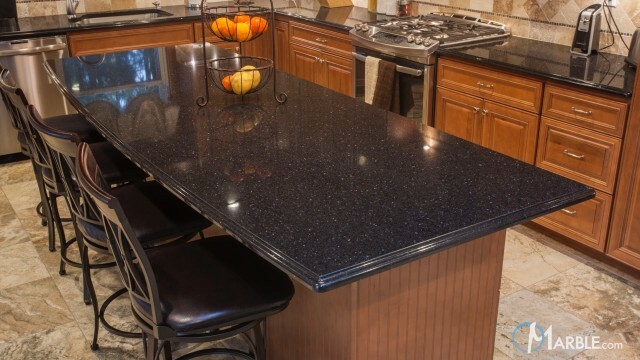 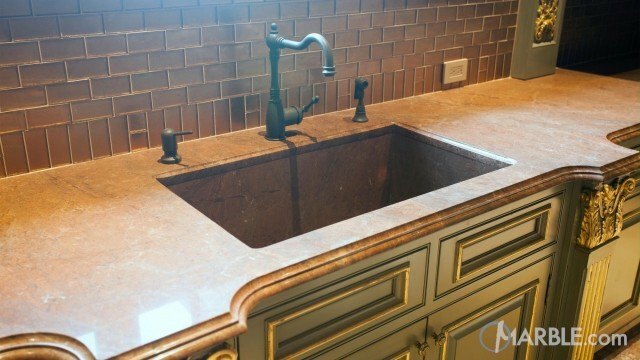 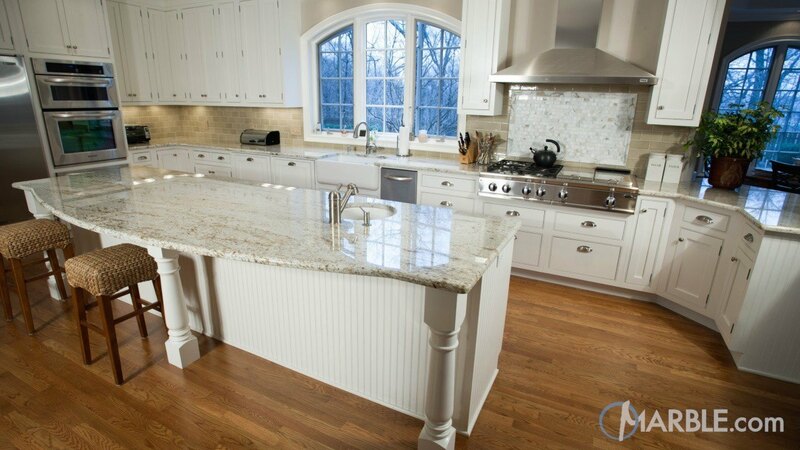 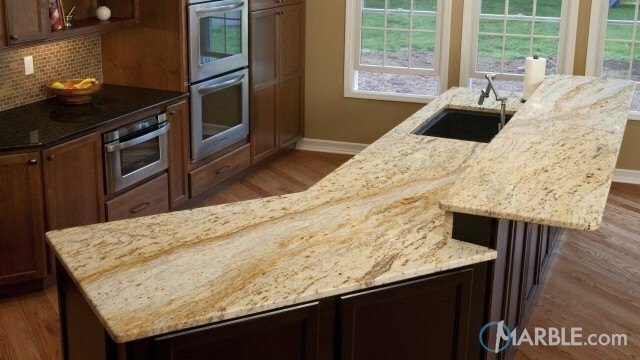 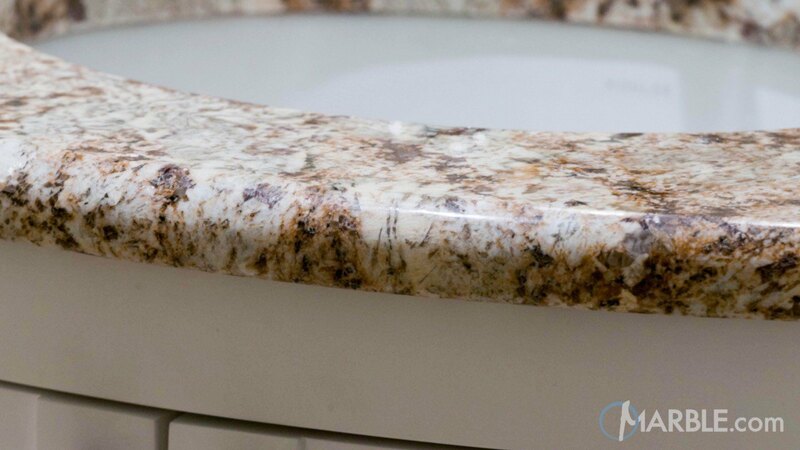 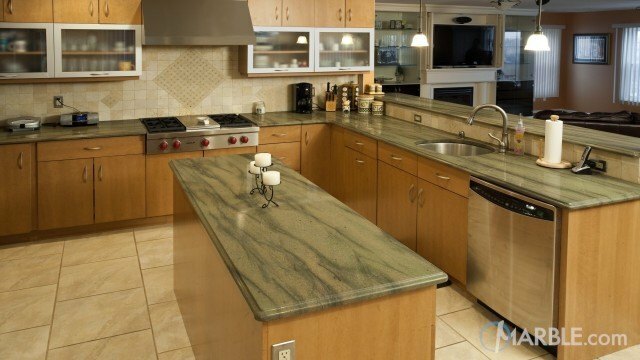 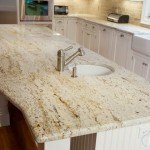 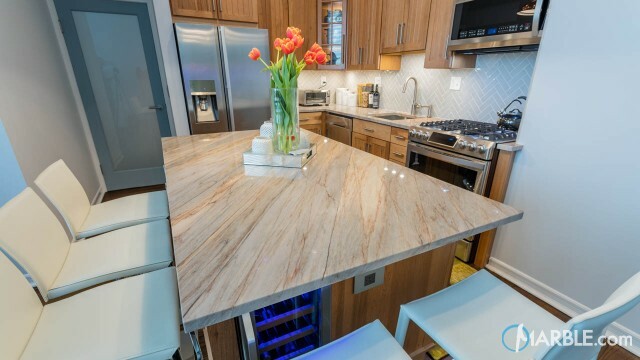 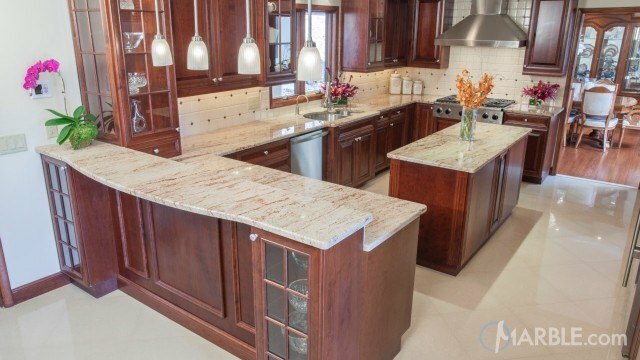 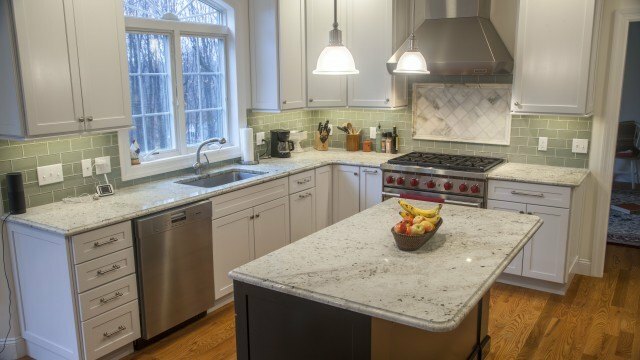 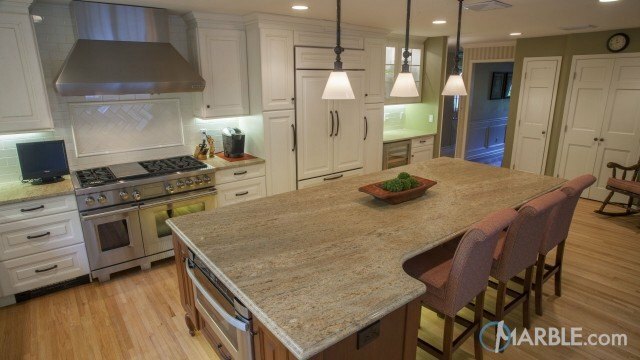 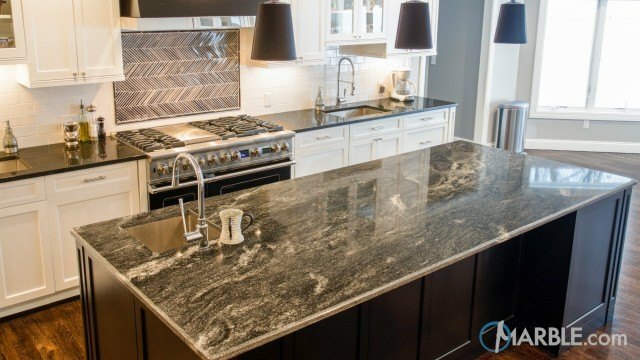 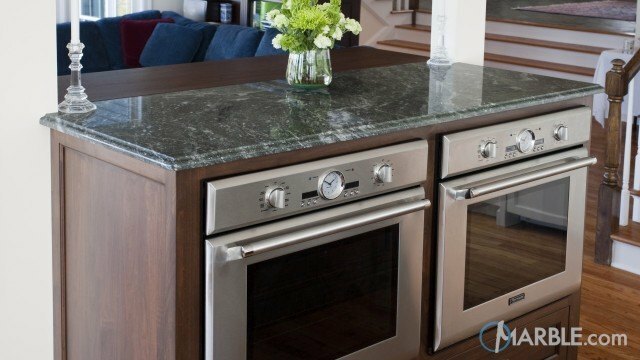 The Half Bullnose Edge complete this natural counter top and helps to contour the rounded island bump out.